As the RISER project enters its final weeks, Dr Peter Zhong, the lead postdoctoral researcher on RISER, will finish his work on RISER next week, on 31st May. Peter has been an outstanding asset to the RISER project, and in this penultimate RISER update, we thought we’d reflect on some of Peter’s amazing contributions. Peter officially started as the RISER postdoc more than two years ago, in early 2014. However, he had also been heavily involved the RISER project prior to that, as one of the lead technical supports for the development of RISERnet. His determination and techical ingenuity were major factors in helping get RISERnet working initially, as well as keeping it running over two summers and numerous deployments. In addition to his work on the network itself, Peter was responsible for leading the design and implementation of the stream processing architecture that underpins RISERnet. The architecture uses the IBM Infosphere stream processing platform, and feeds data to all the outputs of RISERnet including RISERview. Peter presented his innovative work on RISERnet at a range of conference, including an international academic conference in France in 2015 (W2GIS in Grenoble). In addition to his work on RISERnet, Peter supported all of the RISER subprojects including playing a leading role in MoistuRISER, the firefront tracking work, and assisting Mark and the team with the Anglesea education project and UpRISER. Peter was equally successful in generating scholarly output as he was in every other area of activity. He is lead author on 3 accepted journal papers in major international journals, including the firefronts paper in the high impact journal Scientific Reports, published by the Nature Publishing Group. A further two papers, one journal article to be submitted shortly and one peer reviewed full conference article, were also led by him. From June 1st, Peter will take up an exciting new position with IBM Research Australia. Peter was an IBM PhD Intern before joining the RISER project, and we are delighted he has secured the opportunity to rejoin IBM, our close partners throughout the RISER project. On behalf of the whole RISER team, we’d like to thank Peter for his outstanding contributions. Please join us in wishing Peter all the best in his new position. Peter and Matt are developing an incremental algorithm for χ-shapes, a widely used “footprint” algorithm (a shape that characterizes the distribution of a set of points). χ-shapes guarantee the regularity of the constructed polygonal shapes. The algorithm operates by iteratively removing the longest exterior edge of the triangulation of the input points such that the result does not lead to a topological irregularity. Because of this unique rule, χ-shapes are more difficult to construct incrementally than other footprints. We use a dynamic data structure to maintain the edges removed by the χ-shape algorithm. When a new set of points is inserted, or when a set of existing points is deleted, the data structure can be efficiently modified according to the changes in the Delaunay triangulation (below) to obtain the updated χ-shape. Peter is currently working on a journal paper about this work. We created a YouTube channel for the RISER project. The channel already contains three videos that summarize some of the key RISER outputs. Three videos about the core outcomes of the RISER. The video about UpRISER has Mark and Peter describing the creation of the new data library for grassland curing, including high-resolution multi-band RPAS imagery, vegetation indices, site photos, ground-based sensor data, and human observations. The data has been combined into a single, easily accessible geo-database for further research. The video about firefront tracking using curated crowdsourcing outlines our approach to using emergency call data can be to track the spatial extents of rapidly evolving natural disasters automatically and in real-time. The video about RISERnet and RISERview introduces the rationale of the developing and deploying the RISERnet sensor networks. The video also touches on the application and visualization of sensor data, using our web-based user interface RISERview. Each of the videos is short (less than two minutes) and designed to be a simple and engaging introduction to the RISER sub-projects suitable for a general audience. Please do have a look at the videos and do not hesitate to contact the RISER team should you have any comments. We’d also be interested to hear should you have any ideas for more videos that we might develop for our YouTube channel. 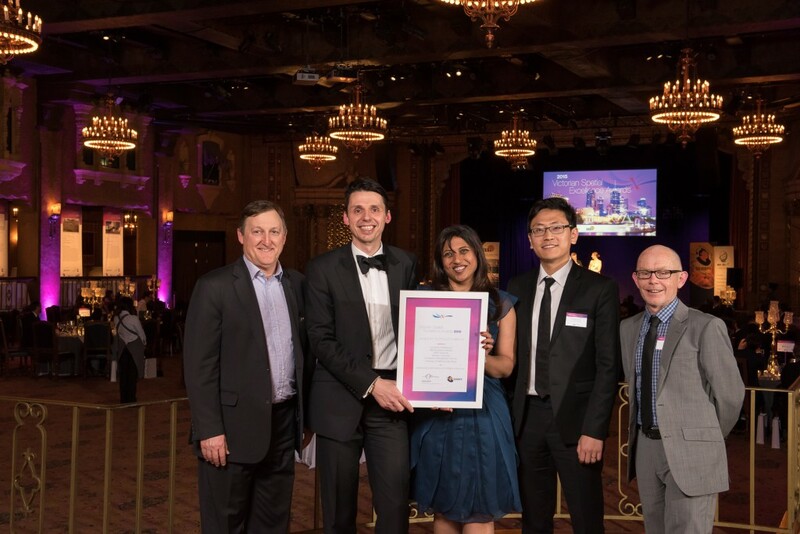 After winning the VSEA (Victorian Spatial Excellence Award) for Technical Excellence and the Victorian Government Award at the end of last year, we were hoping we might go on to win the APSEA (Asia Pacific Spatial Excellence Award) too. Unfortunately, although the RISER project received a highly commendable rating (runner-up) in the Technical Excellence category of APSEA, the award went to an outstanding road safety project from New Zealand. Nevertheless, we are very proud of our runner-up prize, and thank the whole RISER team for all their outstanding contributions that led to this recognition. 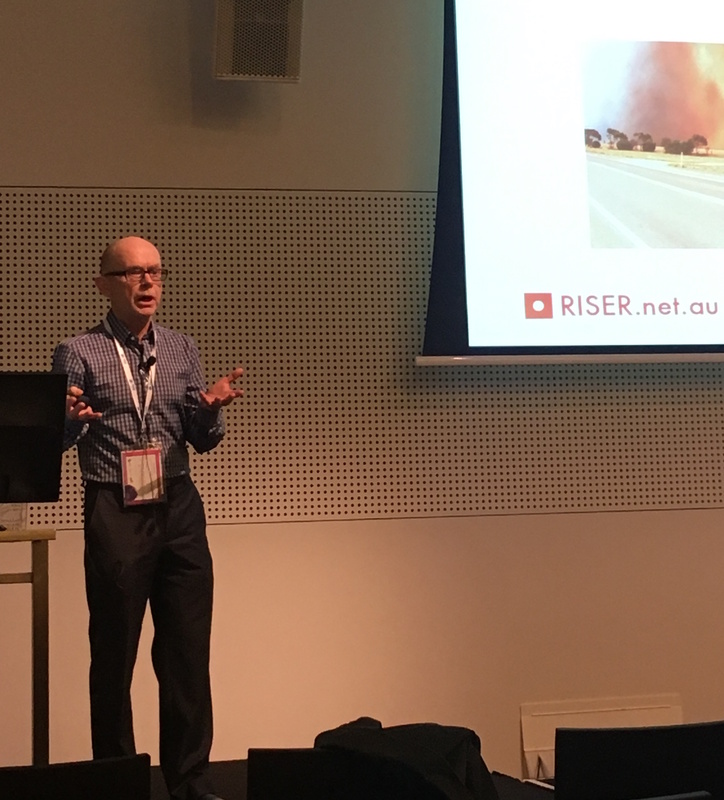 Peter, Mark, and Matt each gave a presentation on aspects of the RISER project at the Locate 16 conference in Melbourne. 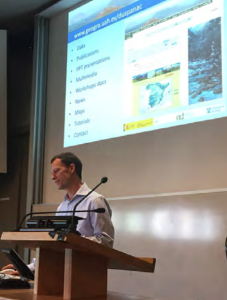 Peter (right) gave a talk in the “Protect” stream about his work on “Real-time estimation of bushfire perimeters from curated crowdsourcing”. 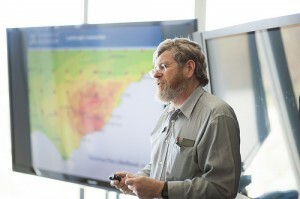 The talk introduced how emergency call data, authoritative spatial data, and spatiotemporal analytics techniques can be combined to track automatically the propagation of bushfires. In the same “Protect” stream, Mark (left) gave a presentation on “Using next generation spatial technologies to advance knowledge of grassland curing”. The presentation summarized the UpRISER subproject, including drone imagery collection and the operational considerations for using UAV to support grassland curing monitoring. The high-resolution UAV images revealed considerable spatial details of grassland curing, which cannot be obtained by satellite imagery or ground observers alone. On the second day of the conference, Matt presented the collaborative work with Lisa Gibbs, Anglesea CFA, and Anglesea Primary School. The RISER project helped to establish a small RISERnet network as part of a broader fire education initiative involving the whole Anglesea community. Matt summarized this work, highlighting the importance of community involvement in longer-term sensor network deployments. As the RISER project moves into its final stages, one of our goals is to support communication of UpRISER results to the team, and to the wider community. To this end, Peter and Matt edited thee videos which summarize the results of some of the major subprojects completed during the RISER project. The three videos focus on our wireless sensor network, the UpRISER drone imagery, and our crowdsourced firefronts tracking work. The first video concerns the RISERnet and RISERview system. 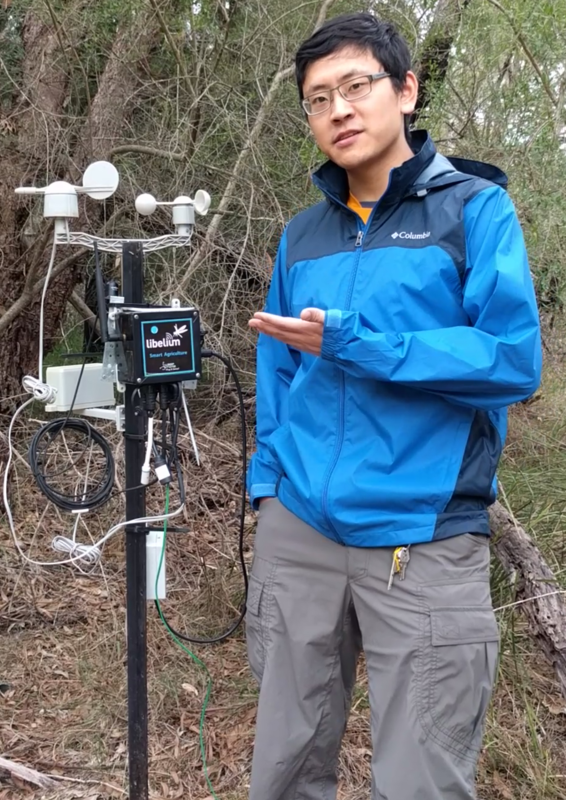 The summary video explains background to the RISERnet sensor network, and the need for fine-grained sensor data to complement the coarse-grained environmental data typically available today. The video also introduces the architecture for RISERnet system, centered on the IBM InfoSphere Streams platform. Finally, the video summarizes the RISERview web-based interface to the system. RISERview enables us to remotely check both real-time and historical sensor data. In the UpRISER project, we have been assessing if high-resolution UAV imagery can provide useful information about grassland curing that complements the current satellite-based and ground observer-based techniques that CFA is using. The video summarizing the UpRISER project introduces the UAV flights over Moorooduc, Scoresby, and Mallee during the past two summers. Although the data is still being analyzed, the results are helping to understand how drone-based imagery might supplement today’s grassland curing monitoring. Zhong, X., Duckham, M., Chong, D., and Tolhurst, K. (2016) “Real-time estimation of wildfire perimeters from curated crowdsourcing”. Scientific Reports, Vol 6, Page 24206. Published by the Nature Publishing Group, Scientific Reports is both high quality and high impact with a a 2014 impact factor of 5.578. Scientific Reports is ranked in the top 10% of all journals in the world and 4th in the world in the “multidisciplinary” category (after Nature, Science, and Proceedings of the National Academy of Sciences, see SJR, Scimago Journal Ranking, http://www.scimagojr.com). The paper develops and tests our method for automatically tracking firefront locations based on data from the Victorian IMS (incident management system), made publically available through the CFA RSS feed. The abstract for the accepted paper best summarizes the key contributions of the research. “Real-time information about the spatial extents of evolving natural disasters, such as wildfire or flood perimeters, can assist both emergency responders and the general public during an emergency. However, authoritative information sources can suffer from bottlenecks and delays, while user-generated social media data usually lacks the necessary structure and trustworthiness for reliable automated processing. This paper describes and evaluates an automated technique for real-time tracking of wildfire perimeters based on publicly available “curated” crowdsourced data about telephone calls to the emergency services. 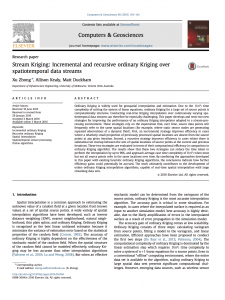 Our paper “Stream Kriging: Incremental and recursive ordinary Kriging over spatiotemporal data streams” (Peter, Allison, and Matt) was accepted by the journal Computers and Geosciences. The DOI of the paper is doi:10.1016/j.cageo.2016.03.004. The paper covers a new approach to spatial interpolation of sensor data in the context of the stream-processing environment we use with RISERnet. Computers and Geosciences has an impact factor of 2.1.
crowdsourcing” (Peter, Matt, Derek, and Kevin) and resubmitted it to Nature Scientific Reports. We are hopeful that our revisions have addressed all the reviewers comments, and are looking forward to the next round of reviews from this high-impact scientific journal (impact factor 5.5). 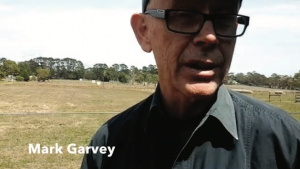 Peter and Mark went back into the field to capture some videos summarizing the results of the RISERnet (Olinda) and UpRISER (Moorooduc) projects. The videos taken by Peter and Mark cover a brief introduction of the RISERnet and UpRISER projects, and the field work and key results of these activities. When completed, the videos will be made available through the RISER web site to assist in our communication of RISER results both to collaborators and to the wider public. Matt and Allison had a meeting with Craig on 1st March. They agreed on holding a small RISER workshop to discuss what avenues might exist for follow-on work from RISER and lead to the RISER project 2.0. The workshop will review the key RISER research activities and outputs and identify the priority options for follow-on projects, with a focus on applications at a national level. The workshop is being planned within the coming fortnight, subject to the availability of the participants. The first video will be available soon and will be shared with the collaborators of RISER and on the RISER web site. Conventional offline spatial algorithms may become bottlenecks for real-time analysis of high-volume and high-velocity spatial data streams. RISER is developing efficient on-line spatial analysis algorithms to process spatial data streams in real-time. Incremental calculation is an effective method to improve computational efficiency and is therefore widely applied in stream processing. For example, Peter and Matt proposed an incremental ordinary Kriging spatial interpolation algorithm which can efficiently interpolate the data from fixed sensor networks. Peter and Matt are now working on the incremental calculation of the characteristic shape (χ-shape) algorithm. The χ-shape algorithm is an important component of our firefront tracking algorithm. The incremental χ-shape algorithm aims to process a dynamic set of points more efficiently, where both point deletion and insertion can happen. For example, in stream processing, data tuples within a sliding window form such dynamic points set. The figure below demonstrate an example of the changes in the χ-shape resulted from a point insertion (the red circle dot). Two critical features of the χ-shape algorithm: regular-polygon constraint and ordered edge removal make the incremental calculation challenging. Peter successfully addressed this challenge using a dynamic data structure. The algorithm is under efficiency evaluation, and we expect to publish it soon. 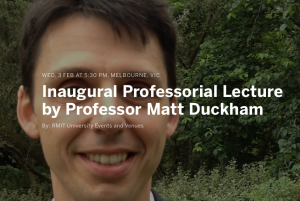 Matt gave his inaugural professorial lecture at the RMIT Design Hub on 3rd February. The lecture, entitled “Cooking with geodata: Recipes for maps and apps”, included introductions to two of the main RISER subprojects: the RISERnet deployment for real-time environmental monitoring of the forest environment; and the automated firefront tracking using the IMS (incident management system) RSS feed. 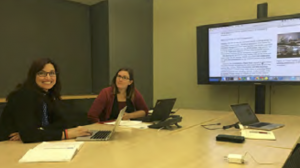 Allison and Peter had a meeting with Anna and Laura from IBM Research Australia on 3rd February to discuss the potential extensions to collaborative sensor placement work (see above). They discussed possible solutions to the problem of optimizing sensor placement through the fusion of multiple data layers, including the maps of wildfire community impact. Two particular questions being discussed include how the performance of a senor network should be quantified; and what is the theoretical bound of the performance of a given sensor placement. IBM is planning to allocate some staff to work on this problem with Peter. Following this meeting, Peter, Anna and Laura had a meeting with Marc and Cerasela from the RMIT University on 5th February. Marc and Cerasela have expertise of graph optimization, which can be an important part of formulating and solving our sensor placement problem. 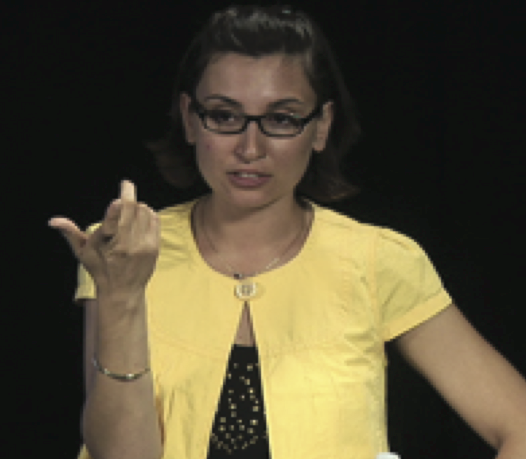 Cerasela proposed an idea to consider the sensor placement problem as a covering problem. More explicitly, locations of sensor nodes are determined by a connected graph which covers a topological map. The graph is found by optimizing the number of sensors and robustness of the network communication. The optimization is constrained by that every segment of the map must be covered by at least one sensor node. Peter will work on this problem under this general frame. In collaboration with IBM Research Australia, we succeeded in generating maps of wildfire community impact through Monte Carlo simulation on the IBM Evacuation Planner (EVA). 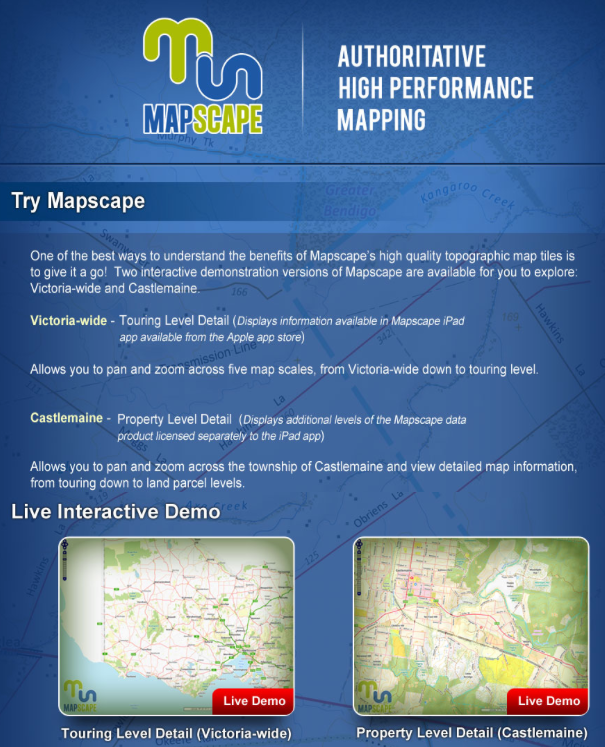 The maps are utilized to optimize sensor placement by a case study in the Mount Dandenong area. 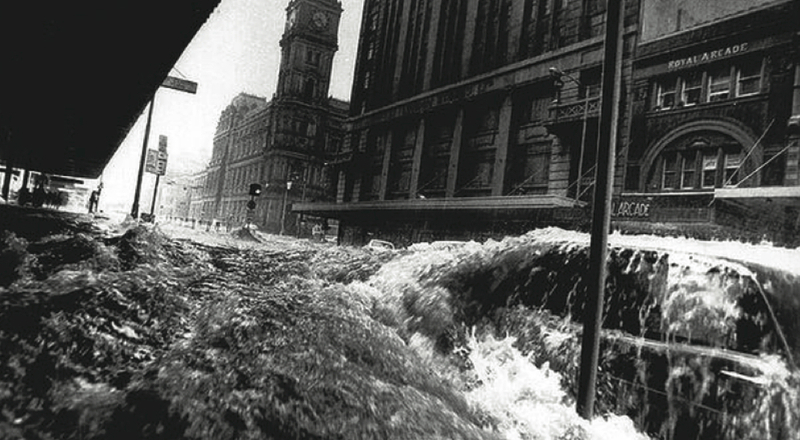 Kent submitted an abstract about this work to Australian and New Zealand Disaster and Emergency Management Conference (ANZDMC). A journal article “Optimizing spatial organization of sensor networks to minimize wildfire impact” was produced by David, Peter, Mahathir, and Kent. 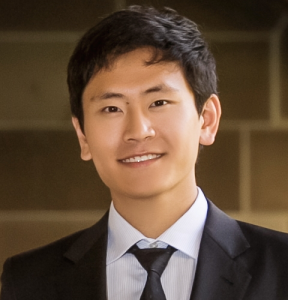 The paper was submitted to the journal Transactions on Modeling and Computer Simulation. The paper “Characterizing the shapes of noisy, non-uniform, and disconnected point clusters in the plane” written by Peter and Matt was accepted by the journal Computers, Environment and Urban Systems (DOI: 10.1016/j.compenvurbsys.2016.01.003). 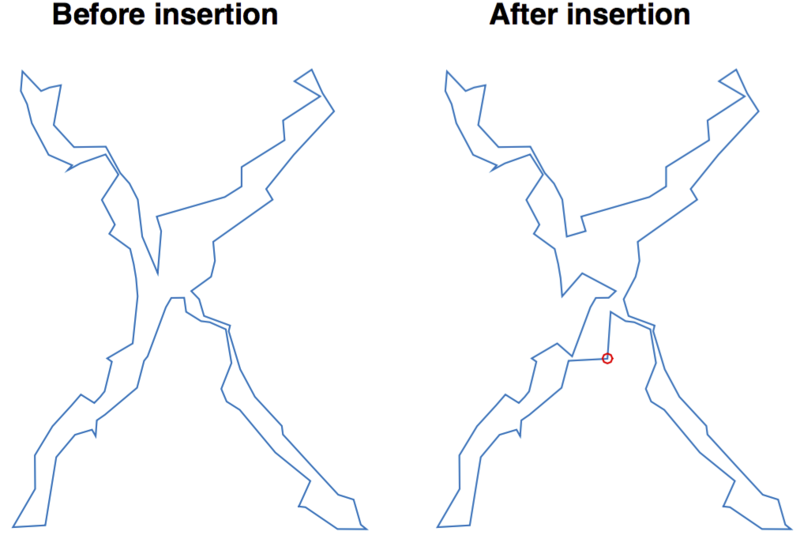 The paper examines a specific extension to an established “footprint” algorithm for generating a polygon that characterizes the shape of a set of point. The extension deals better with non-uniform point densities, and disconnected polygonal outputs, that previous approaches. In addition, we received decisions on two other journal papers under review. 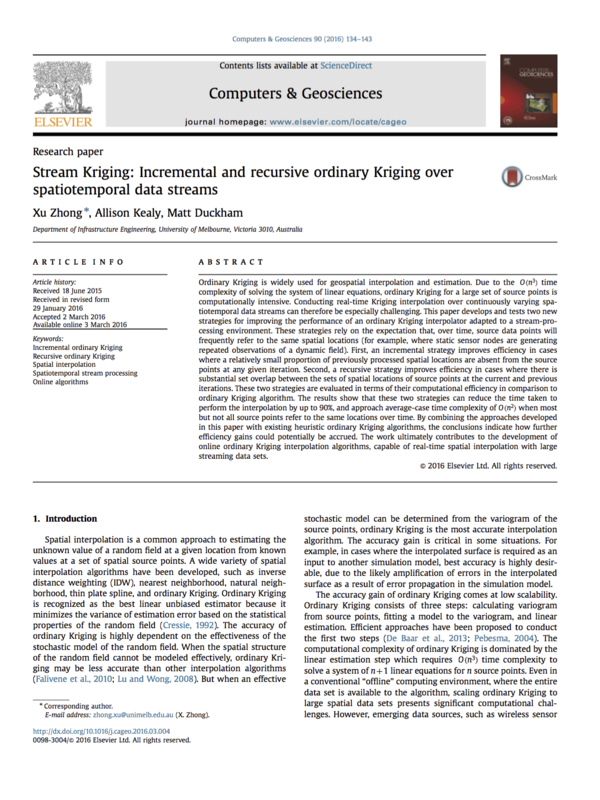 The paper “Stream Kriging: Incremental and recursive ordinary Kriging over spatiotemporal data streams” (Peter, Allison, and Matt) submitted to Computers and Geosciences has received a minor revisions decision. The paper “Real-time estimation of wildfire perimeters from curated crowdsourcing” (Peter, Matt, Derek, Kevin) submitted to Nature Scientific Reports was asked for major revisions. Peter and Matt are revising these two papers to address all of the reviewers’ comments, and we are hopeful that these revisions will satisfy the reviewers and editors. Mark, Victoria, and Peter had two meetings to discuss the next step of the UpRISER subproject: writing a paper for publication in a peer-reviewed wildfire management journal. They discussed potential directions of the paper based on the collected data. Due to the incompleteness of the data and the small scale of the study area, it is not possible to compare directly the grassland curing measurements across different sensing strategies. So we are focusing on two other scenarios. First, we are investigation if the UAV imagery data can be used to model the spatial variation of grassland curing. Then the model can be utilized to optimize ground sensor placement using an established sensor placement algorithm. 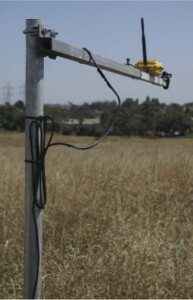 The outcome may be helpful for the future deployment of terrestrial grassland curing sensors (e.g., the sensor on the right, developed by Environmental Sensing Systems). Second, we are studying the spatial and temporal characteristics of the UAV imagery data. Through a combination of quantitative and qualitative analyses, we will exam if the UAV data show any useful pattern of grass curing that other existing methods cannot provide. Based on the expertise of the RISER team, we are currently prioritizing this scenario. “Real-time estimation of wildfire perimeters from curated crowdsourcing” (Peter to present). The three presentations will be given at the Locate 2016 Conference on 12–14 April in Melbourne. In addition, as the winner of two Victorian Spatial Excellence Awards, the RISER project was nominated for the Asia Pacific Spatial Excellence Awards (APSEA). The winners of the APSEA awards will also be announced at the Locate 16 Conference. Allison and Peter had a meeting with Cerasela Tanasescu and Marc Demange from RMIT University to investigate the potential collaboration opportunities between the RISER project and the GEO-SAFE project. One challenging research area that drew the interest of both project participants is the sensor placement problem. RISER is keen to develop a sensor placement strategy for the RISERnet networks that is maximizes information gained at the lowest communication cost. Communication cost can be defined as the expected number of message transmissions in the networ. In this meeting the team discussed how this problem should be initially formulated. After formulating the problem, the optimization expertise of Cerasela and Marc will help us to obtain an optimal or near-optimal sensor placement plan. To begin this research, Peter tried an existing sensor placement algorithm (Krause et. al. 2006) which approximately maximizes the mutual information of observing a Gaussian random field. The figure below illustrates the placement of 20 sensors in Olinda. Peter is investigating if other information, such as slope and the fire danger map generated by IBM, can be fused with the mutual information to given the total degree of information captured. Together, the different information sources could be fused to yield to optimal sensor placement. Before attending a conference in Santa Barbara, California, Matt took a day to visit Jessica and Ilkay at UCSD and discuss the RISER/WiFIRE collaboration (right). A range of increasingly active collaborations were discussed, including work together using Kepler (such as the firefront tracking reported this update) and redeploying some RISERnet nodes in California. Although only a short trip, the discussions were very productive and continue to keep RISER and WiFIRE closely aligned. Anglesea Primary School won a 2015 Victorian Fire Awareness Award in the Education category. A short video summarizing the “survive and thrive” project can be viewed online, while the full list of award winners can be found here. RISER has been a contributor to this project since 2014, providing RISERnet sensor motes that the children can place in the field and a special version of RISERview with which to monitor the motes’ data and health. Peter and Mark attended the end-of-year presentation by the Anglesea Primary students last month (left). Congratulations to the Anglesea Primary School students and teachers, as well as Lisa Gibbs and her team at the University of Melbourne, and Jamie and the Anglesea CFA team. shows the initial interface of the program, which illustrates the locations of the RSS feeds (black dots) and fires (red polygons and blue polygons (population weighted results)) detected by our algorithm. Peter will continue to improve the program for more efficient implementation and better interface. The RISER project management committee met on November 17 at the offices of EMV, Emergency Management Victoria. The RISER PMC provides strategic guidance and oversight of the RISER project, and involves representatives of all the RISER partners as well as independent members. Present at the latest RISER PMC meeting was John Schauble (EMV), Laura Rusu (IBM), Sarah Harris (Monash University), Allison Kealy (University of Melbourne), Matt Duckham (RMIT University), and via teleconference link Jessica Block (UCSD) and Kim Lowell (independent). Mark and Peter attended the Anglesea Fire Education Initiative Workshop on 30th November. The Anglesea CFA and Melbourne School of Population and Global Health established an early education project in Anglesea. This project teaches year 5 students in the Anglesea Primary School about essential bushfire knowledges to improve community resilience. 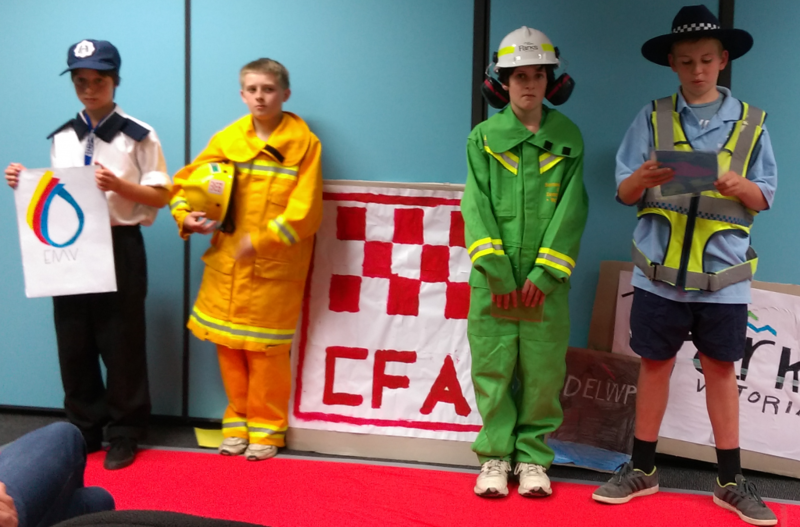 Having work all year in the program, the children gave their first public lecture to adults living in Anglesea about several different aspects of bushfires. In the first session the children demonstrated the characteristics of the progression and impact of bushfires through a vivid experiment (see right). Then, the children explained how to evacuate during a bushfire, and the importance of have a fire plan in prior to a bushfire. The third session introduced the roles of emergency management authorities, such as EMV, CFA, DELWP, Police, etc (see below), and how the community should seek help from these authorities. In the final session the children simulated the daily fire danger report the during bushfire season. The children also taught the audience the calculation of fire danger index and the significance of planned burns in constraining fire spread. The children demonstrated impressive knowledge in understanding bushfires and minimizing the impact of bushfire. The novel children-teaching-adults education scenario achieved excellent outcomes. RISER assisted this educational project by introducing the RISERnet wireless sensor network technology to the children. The children learned the process of generating and analyzing real-time data streams of weather conditions for improved situational awareness during bushfires. The children will give more public lectures which will include real-time weather condition monitoring using our RISERnet networks. 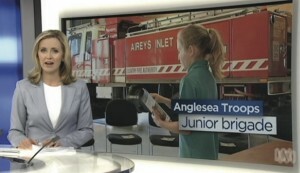 The Anglesea education program led by Angleseas Primary School, and Anglesea CFA, and supported by the RISER project, was featured on ABC radio with Hilary Harper on Saturday 21st November. Hilary interviewed the children taking part in the program, who discuss the initiative including their RISERnet motes that the students have deployed in the field. You can hear the program online (starting about 1 hour 3 minutes in) at https://radio.abc.net.au/programitem/peXxQXbx8D. Matt, Allison, and Peter had a meeting with Laura, Kent, and David from IBM Research Australia on 18th November. They discussed David’s work on generating fire danger map and optimizing sensor placement on the danger map. David has finished his internship in IBM with excellent outcomes. He generated a fire danger map for the Mount Dandenong region using the IBM Evacuation Planner. The map describes the potential lost of lives given an ignition location. Then he proposed a sensor placement algorithm based on the fire danger map. David will start a new internship in Google soon. We wish all the best to his future career. RISER and IBM will continue this collaboration to extend David’s work for a journal publication. Namo redeployed a new Meshlium in Olinda and reprogrammed all motes to make them compatible with the new Meshlium on 12th November. He is also working with Peter on investigating a new method of controlling the Meshliums’ automated hibernation and wake-up. We found Meshliums are not robust enough to handle the frequent powering on and off for longer periods of time. As an interim solution, we fixed the problem by using the direct DC power connector. However, Namo and Peter are testing if Meshliums can hibernate and wake up through the USB port. If this solution is feasible, we can avoid turning Meshliums on/off frequently and so make them more robust. Peter had a meeting with Tom, Jane, and Craig in the Burnley Campus of University of Melbourne on 12th November. They planned the test deployment of a RISERnet network in the Burnley Campus and the future field location of the network in Powelltown. Tom and his team have set up 10 weather stations (four basic and six micro stations, see below) within and adjacent to the planned controlled burn in Mt Toolebewong. The RISERnet network will be deployed on transects near the basic stations outside the burn. 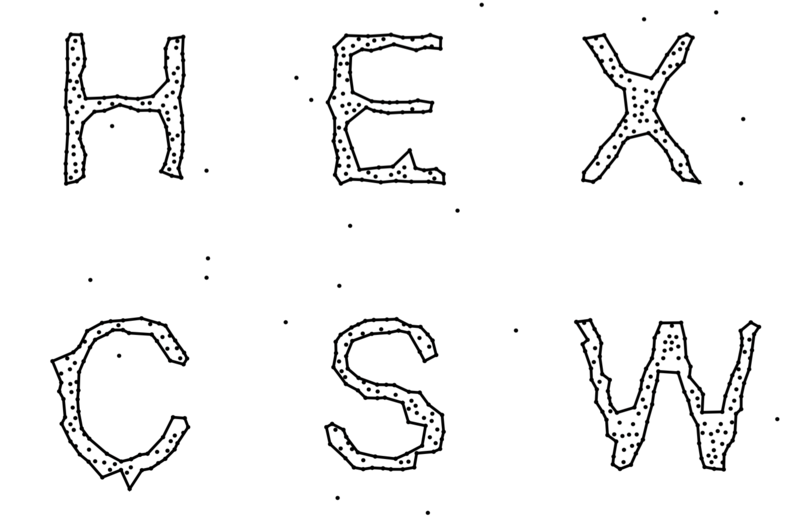 Many applications involve constructing possibly non-convex polygons, also called “footprints”, characterizing the shape of a set of points in the plane. Our firefront tracking algorithm, for example, constructs the perimeter of wildfires from the distribution of curated wildfire reports. 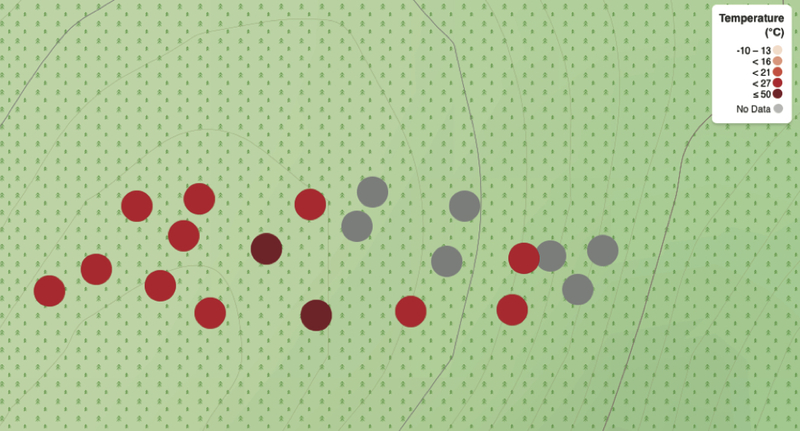 When the point set contains pronounced clusters and outliers, “good” footprints should consist of disconnected shapes and exclude outliers. 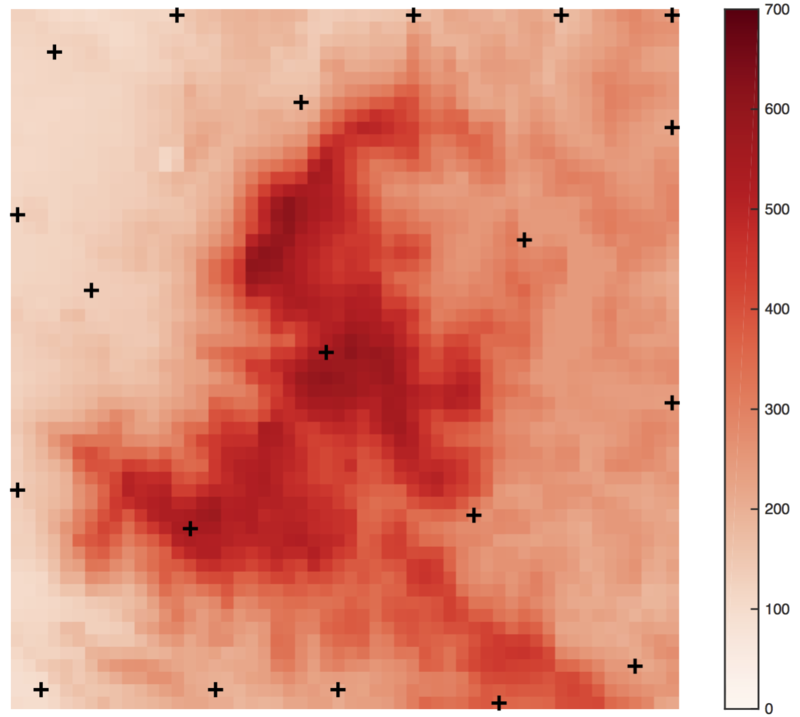 Peter and Matt developed and tested a new footprint (above right), extending the well-known characteristic shapes algorithm. Compared with the most widely used alternatives, the algorithm requires fewer parameters and is more robust to certain types of non-uniform point densities. A draft journal paper is now complete, aiming to be submitted in the coming week. 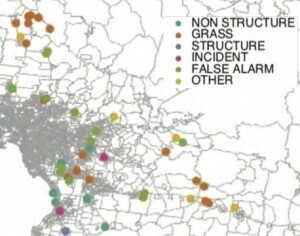 Grassland curing estimates used in a range of bushfire prediction and warning systems rely on satellite and human observers. Current methods of estimating curing are being expanded throughout the eastern states of Australia by the lead agency in the field, the Country Fire Authority of Victoria. In grassland landscapes that are lightly treed and have a high proportion of exposed soils, such as the Mallee in north-western Victoria, there is a tendency to under estimate curing after summer rainfall events; in other words satellites fail to detect late season green up leading to downstream issues in systems that use the estimates such as fire danger forecasts and fire spread models. Last summer CFA and RISER established the viability of using UAVs to capture a series of vegetation indices which are highly correlated to grassland curing. The platform showed promise in being able to produce extremely high resolution data that may provide researchers with insight into grassland curing at other scales. With this in mind CFA and RISER again utilized Think Spatial’s UAV to capture imagery in conjunction with vegetation sampling at Murrayville, in the middle of the Mallee, northern Victoria. Early this fortnigfht, under bright blue skies, sampling consisted of gathering fuel samples in treeless “reference” paddocks of wheat and pasture grasses, then moving onto native pastures that were lightly treed in some areas and more heavily treed elsewhere. 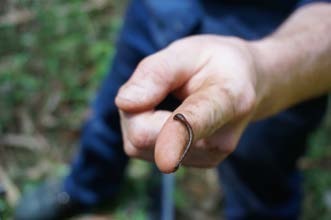 Another field trip will take place later in the season after rains produce a “green up” event. The team (pictured) were greatly assisted by local CFA Group Officer Trevor (Blue) Wyatt. The latest RISER Project Management Committee meeting (PMC) is currently in planning for November. The Project Management Committee provides oversight an strategic guidance to the RISER project. As usual, a white paper summarizing the progress across the RISER project has been prepared for the PMC. If you are interested also to read the white paper, please contact Peter or Matt. Peter visited the Olinda RISERnet site with Simon, Cathy and Namo. During this visit, Simon and Cathy set up protection hoses for the cables of the sensors. 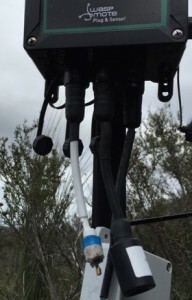 We have found this is an effective way to protect our sensors and cables from being damaged by wild animals. Peter and Namo checked the base station together. The base station was found to be broken due to too many on/off cycles, and required repair. Since the warrantee of the base station has already expired, Peter, Simon, and Namo opened the base station (see below) in an attempt to figure out the issue. This helped us narrow down the reason for the failure to the Power over Ethernet (PoE) module. The Linux system of the base station can still be accessed through the PoE module, but the power cannot pass the PoE module to the base station. We consulted with the local representative (M2M) of Libelium about possible solutions. On option is to connect a PoE to DC adapter in the base station to utilize the direct DC connector. However, without knowing why the PoE module failed, this exposes potential risk of damaging the direct DC power connection too. 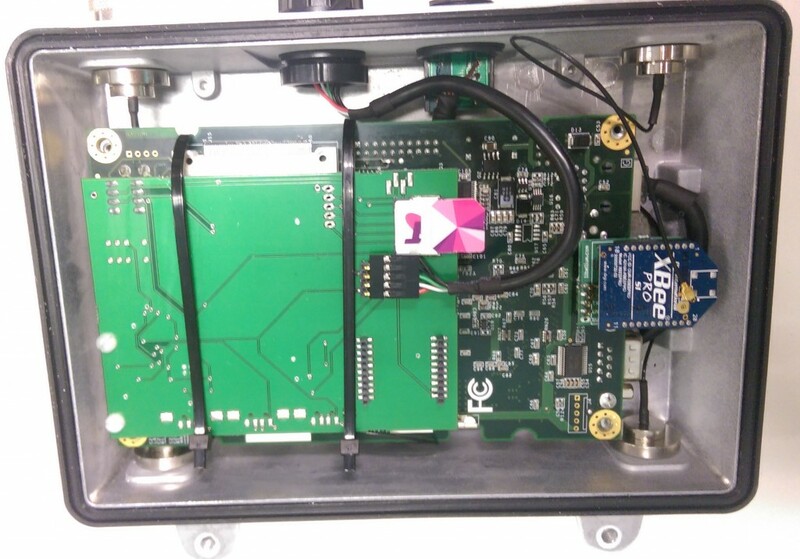 Unfortunately, M2M is not qualified to fix the equipment, and the base station would to be sent back to Libelium in Spain for further investigation. We are still discussing how best to solve this tricky problem. The fieldwork for the new UpRISER program of work, planned for 19th–23rd October, had to be delayed due to bad weather. However, the rainy weather pattern in the Mallee looks to have shifted now, and the first field sampling should take place this week, 26-28th October. The field work will capture not only UAV imagery, but a range of other reference observations of grass curing to compare with. role maintaining RISERnet. To demonstrate to Namo the setup of the RISERnet network as well as fix the latest technical glitches with RISERnet, Peter visited the Olinda site with Simon, Namo, and Cathy, and gave Namo a tour of the RISERnet setup (and no doubt some of the local leeches). 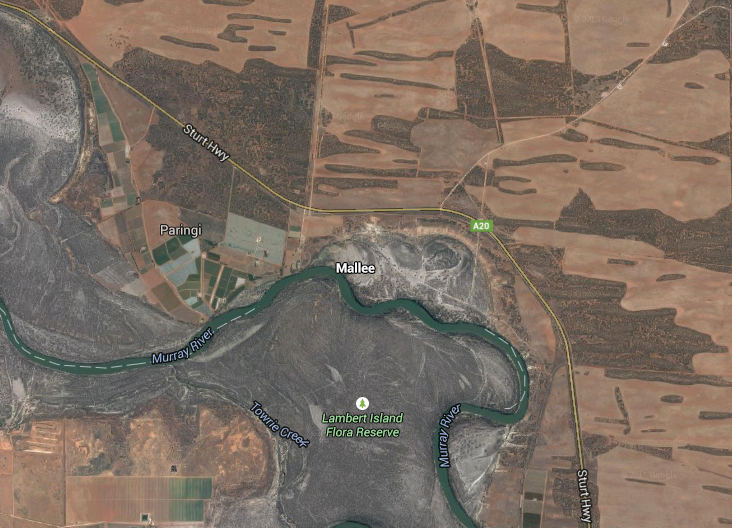 Mallee has a lightly treed grassland landscape where the proportion of exposed soil is high. 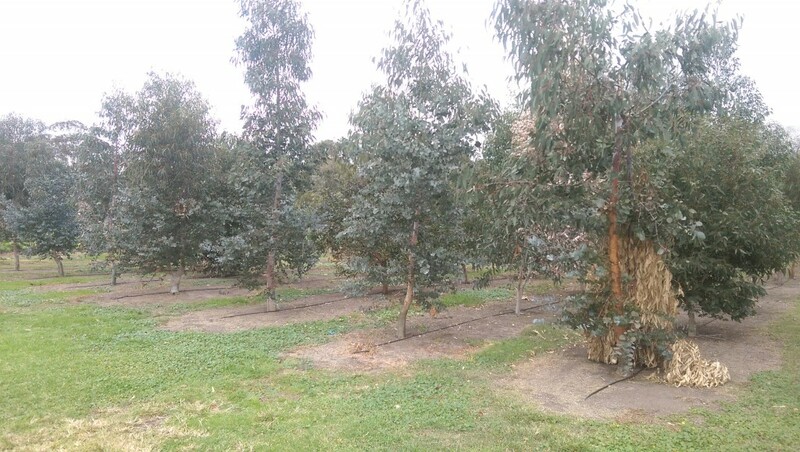 Satellite based grass curing monitoring methods tend to underestimate re-growth after summer rainfall events and fail to detect late season green up in Mallee. 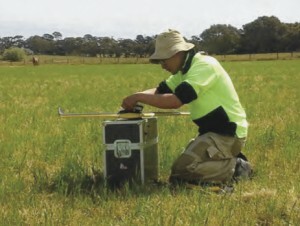 The RISER team and CFA is investigating if UAV imagery can provide more accurate grass curing estimations as CFA expands the geographic coverage of its curing estimates interstate. Mark had a meeting with Danielle Wright and Rachel Bessell from CFA on preparing for field data collection at Murrayville in Mallee. In the meeting they reviewed photos and field notes from recent preparatory field trip to Murrayville. Four paddocks (see below), with major pasture types natural grassland, barley grass, wheat, and cured barley grass, were deemed suitable as study sites. The first field sampling will take place in the week of 19th–23rd October. 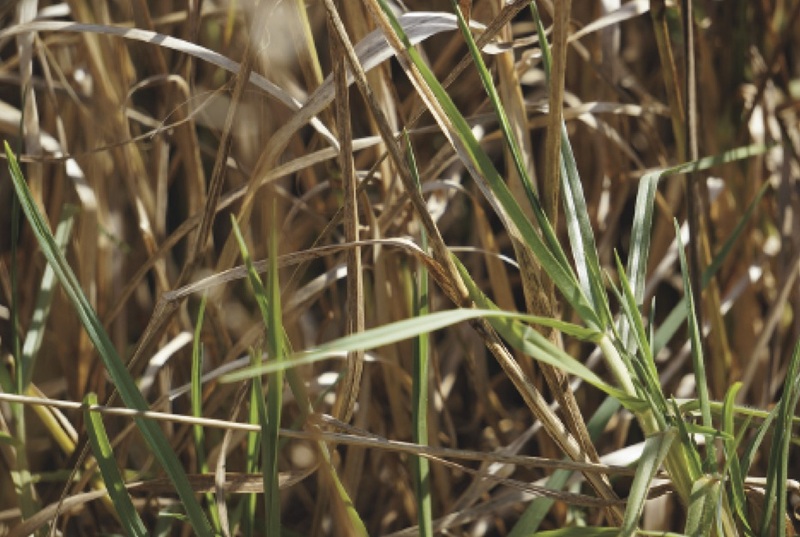 Besides UAV imagery, reference grass curing observations will be taken using various methods, including rising plate meter, robel pole, destructive sampling, visual assessment and oven drying. The RISER team (Mark) will collaborate with CFA and ThinkSpatial on this field sampling. Emma reported several sensors (right) in Anglesea were damage by local wildlife. As the equipment of the RISERnet network is vulnerable to wildlife, we have designed a protection scheme which worked well in Powelltown. We will arrange the upgrade of the RISERnet network in Anglesea. 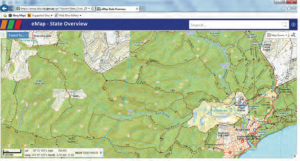 Mark managed to get access to Spatial Vision’s digital map book Mapscape (below) for the RISERview website. Demo imageries of Mapscape are available at this link. The imagery is a much better fit with what the students are learning in Anglesea Primary School. Thus Mark is coordinating with ThinkSpatial about the replacement of the current backdrop (OpenStreetMap) of RISERview with Mapscape mapping products. Three UAV flights are planned by CFA and RISER in Mallee. The first flight is planned to take place in the week commencing 19th October. The other two flights will be conducted in mid-December and following summer rain green up. 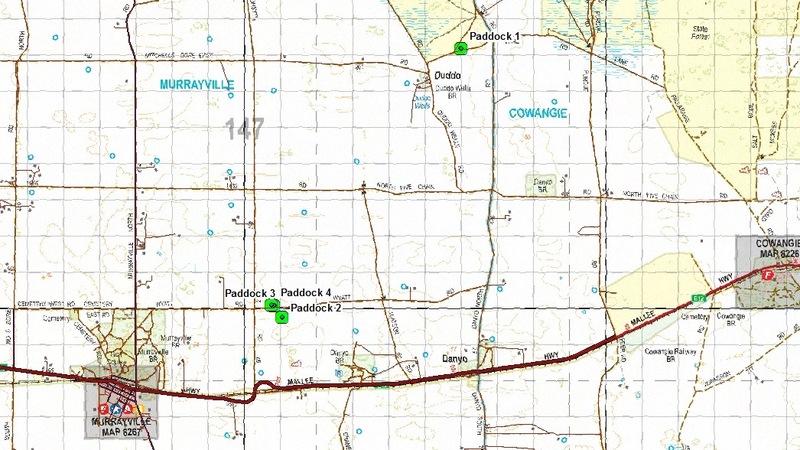 CFA also suggested that another separate site in close proximity to Mallee should be captured on the same day. Current candidate sites are in Ouyen and Murrayville, Mark is leading the investigation of the different options. Kevin Tolhurst was officially invested as a Member of the Order of Australia on Friday 9th September. 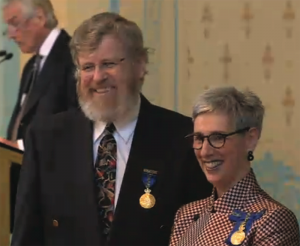 His award cited Kevin’s “significant service to science through land and bushfire management, and to the community through providing expert advice at fire emergencies.” You can watch Kevin receive his award from the Governor of Victoria, Her Excellency The Hon Linda Dessau, at Government House at http://bit.ly/1K1djqH (14 mins into video). Congratulations Kevin! 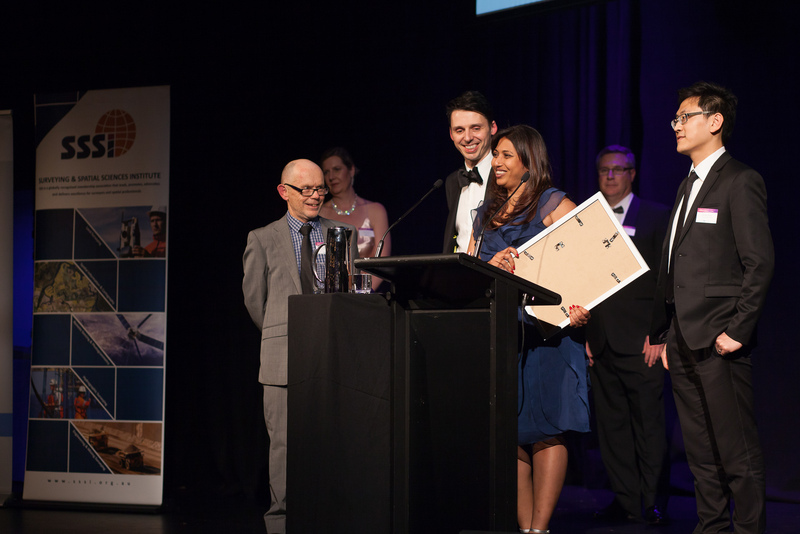 We are delighted to report that the RISER project was successful in winning two major awards at the Victorian Spatial Excellence Awards (VSEA), including the most prestigious award of the night: the Victorian Government Award for Spatial Excellence. The RISER project also then went on to receive the Victorian Government Award for Spatial Excellence, the highest accolade of the awards. Allison, Matt, Peter, and Mark were all there to receive the awards on the night. Craig Lapsley was also at the awards as SIBA’s distinguished guest representing EMV. 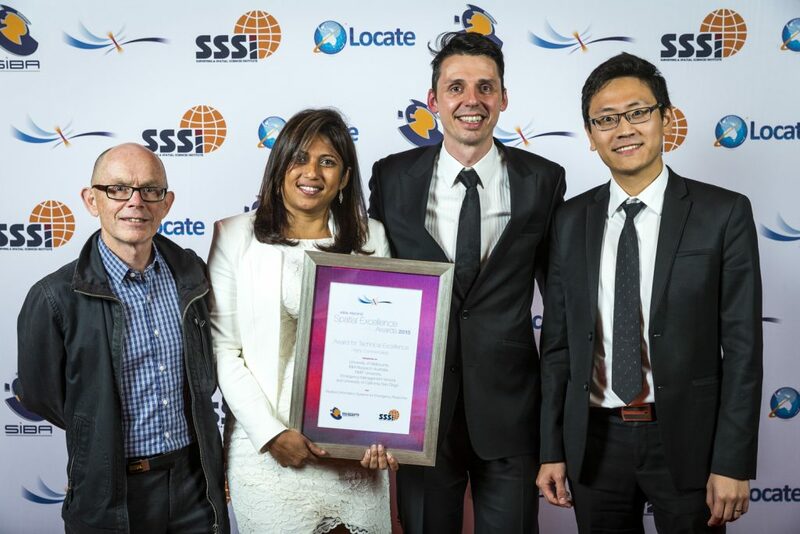 As a winner of the VSEA, the RISER project will now go forward to the national Australia Pacific Spatial Excellence Awards (APSEA), with awards announced in March 2016 at the national Locate conference. Matt and Allison would like to take the opportunity to thank in particular our industry and overseas partners EMV, IBM Research and UCSD, as well as the entire RISER team and collaborators, including: Ilkay Altintas, Jessica Block, Lisa Cheong, Derek Chong, Darius Culvenor, Tom Duff, Simon Fuller, Mark Garvey, Andrew Gaussen, Sarah Harris, Jasmin Higgs, Juerg von Kaenel, Susan Kidnie, Craig Lapsley, Rain Liu, Kim Lowell, Dani Martin, Bill Moran, Azadeh Mousavi, Glen Newnham, David Nichols, Victoria Petrevski, Andrew Rawlinson, James Romer- il, Laura Rusu, Zaffar Sadiq, John Schauble, Guy Sharon, Larry Smarr, Kevin Tolhurst, Christian Vecchiola, and most especially Peter Zhong. Thank you all. A new intern, David, will be on board at IBM Research and Development from Monday, 31st August. David will work on the collaborative project between RISER and IBM on estimating impact of wildfire, particularly on houses. Peter had a meeting with Laura and Ziyuan from IBM and discussed what contributions David can make to this project. They agreed on two directions. First, David will implement the house-loss model of Sarah Harris et. al. and integrate the model with the current IBM fire danger system. David will validate the model with IBM’s data and fire simulation model. Second, he will investigate how the sensor data from the RISERnet network and the weather data from the Bureau of Meteorology can be integrated. This integration will lead to validation, testing if additional finer-grained sensor data can improve the performance of current wildfire progression and impact models. Mark created a storymap entitled Anglesea: A story of disaster and resilience for our Anglesea initiative (see below). This storymap describes the history and impact of wildfire in Anglesea, and in particular the Ash Wednesday fires, 16th February, 1983. The devastating wildfire highlighted the necessity of constructing resilient communities in wildfire-prone area. The Anglesea community and Anglesea CFA are leading a number of initiatives in order to reduce their vulnerability to fires. The storymap briefly summarizes these initiatives. RISER became involved in one of these initiatives last year, where we helped demonstrate how modern technologies can improve children’s understanding of wildfire. At the end of the storymap, last year’s work to improve community resilience through education is summarized. 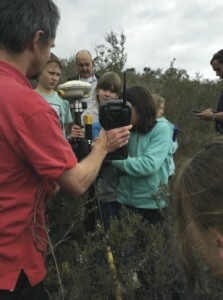 In collaboration with Associate Professor Lisa Gibbs from Melbourne School of Population and Global Health, Anglesea CFA, and Anglesea Primary School, the RISER project worked with primary school children helping them to deploy anf maintain a small RISERnet wireless sensor network for real-time monitoring of wildfire hazard in a wildfire-prone environment. Peter, Jane and Tom are leading the upgrade of the RISERnet network for Powelltown to collect more reliable field measurements of temperature, relative humidity, solar radiation, and fuel moisture content. Fuel moisture content sensors in particular require consistent contact with fuel samples to reduce bias among sensors. However this is difficult to achieve due to the complex composition of fuel in Powelltown. To solve this problem, the fuel moisture content sensors are used to measure the moisture of uniform foam which has a similar drying characteristic to litter fuel. Jane set up an oven experiment to compare the measured moisture of foam with ground truth fuel moisture content measured by scale. If the moisture of foam closely tracks the fuel moisture content, we will be able to collect much more consistent and comparable information of fuel moisture content across the RISERnet network. The results of these experiments over the coming weeks will provide valuable practical information to assist in monitoring fueld moisure. 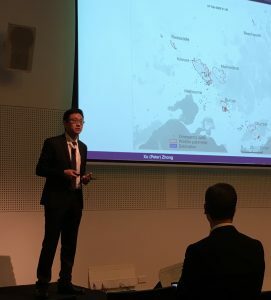 Mark will present the outcomes of the UpRISER project on the last day of the AFAC15 conference in Adelaide, as part of the Emergency Management Spatial Information Network Australia (EMSINA) professional development day. The topic of Mark’s presentation is “Creating a grassland curing dataset from UAV imagery operational considerations”. Further planning for our UpRISER stage 2 project has progressed well. The previous UpRISER stage 1 project established the viability of using an Unmanned Aerial Vehicles (UAVs) to capture a series of images and field data in Moorooduc and Scoresby in the summer of 2014-15. The collaboration between CFA and RISER for the second-stage UpRISER will collect a second series of images and field data, this time in the Mallee region of Victoria (below). This next phase will give a more detailed insight into the curing processes at work, building on knowledge gained in stage 1. The work potentially will provide a mechanism for greater accuracy of curing monitoring as CFA expands the geographic coverage of curing estimates interstate. RISER and CFA have agreed a phase 2 UpRISER project focusing specifically on post-rain green-up in the Mallee grasslands. The project will undertake a series of UAV flights to capture an series of images in conjunction with field data. UAV flights will be scheduled to coincide with early season greening (possibly as soon as September) and late season when grassland have cured (possibly December). The team will then await a summer rain event, monitor local information, and then undertake a third flight and data collection. RISER is working with Associate Professor Lisa Gibbs from Melbourne School of Population and Global Health on one of Lisa’s educational project in Anglesea. Working with a research assistant from Lisa’a group, the RISER team is assiting with writing an paper about the broader educational project in Anglesea, to which RISER contributed. The research assistant is leading for the education and community resilience aspect of the paper, while Peter is leading the contribution in the technical aspects of RISERnet. Work on our automated firefront tracking algorithm has continued strongly over the past two weeks. 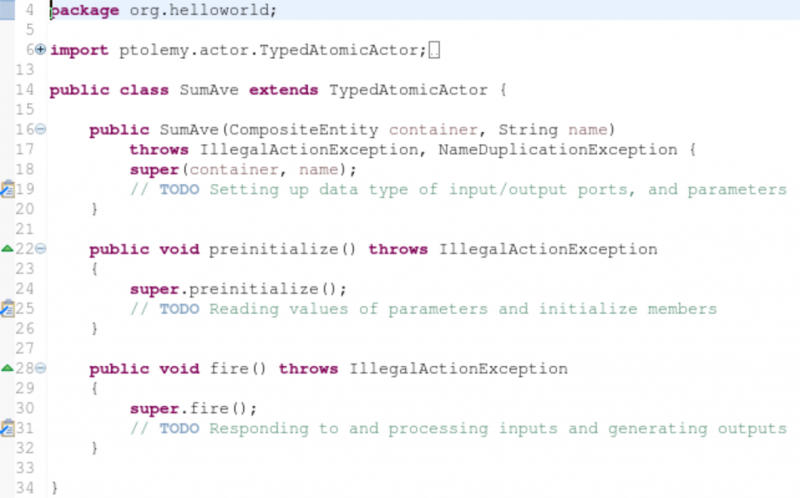 Peter has been working on creating simple Kepler actors to encapsulate the process (below). The firefront tracking algorithm processes crowdsourced data aggregated by a sliding temporal window. Before implementing the firefront tracking algorithm, Peter is applying simple analytics on the tuples in the sliding window, such as calculating the sum and maximum of attributes of the tuples. Since the algorithm adopts standard spatiotemporal analysis tools, which already have open source implementations, based on this knowledge it should be possible to implement the firefront tracking algorithm efficiently. 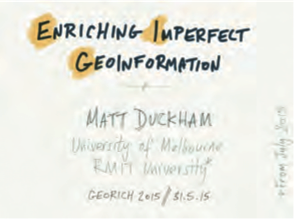 Matt also gave a presentation at RMIT University on “Challenges for research into big geospatial data”. The presentation included a discussion of the RISER firefront tracking using crowdsourced emergency calls. The example demonstrates how crowdsourced information can provide real-time emergency infor- mation, supplementing higher quality but also higher latency authoritative information sources. A paper for submission to PNAS (Proceedings of the National Academy of Sciences) is also currently in the final stages of preparation (below). The changing perimeter of the wildfires, together with emergency call locations and firefront estimations, at three key stages of the Black Saturday wildfires, February 2009. Mark has been holding meetings and discussions with CFA Anglesea and with the CFA Grass Curing teams to discuss the potential for building on this year’s education and UpRISER activities into 2016. 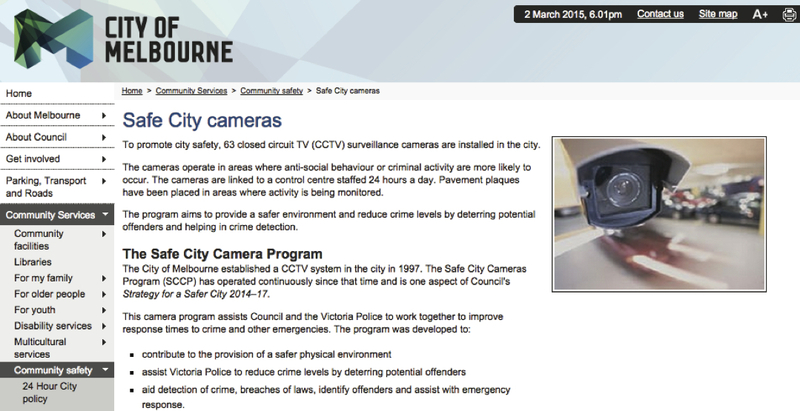 Mark also has a meeting on 23rd July with EMV and City of Melbourne to discuss the ongoing CCTV initiative within SensorRISER. Peter and Tom planned to set up a RISERnet network in two weeks at the Burnley campus for testing the reliability of sensor nodes and sensors. 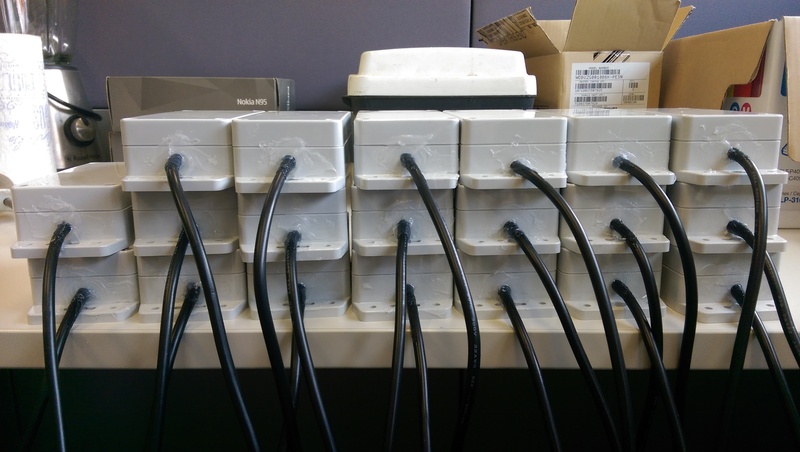 Wenchao, a RISER research assistant, has produced enough batteries and chargers to support the network. With this network, we will develop solutions for battery life expansion, improved sensor protection, and efficient node installation schemes. Our firefront tracking algorithm estimates the position of firefronts by analyzing crowdsourced incident reports. The algorithm has been validated in an offline environment using historical data about emergency calls and fires (below). This week, Peter started migrating the algorithm into an online (streaming) environment. The online approach uses Kepler, a free open source platform designed to help scientists create, execute, and share analysis processes. Kepler is a scientific workflow environment capable of integrating disparate software components, such as merging Matlab scripts with C and Java code. At its simplest, Kepler’s graphical user interface enables users simply to select and then connect pertinent analytical components and data sources (known as actors) to create a scientific workflow—an executable representation of the steps required to generate results. Developing more efficient, native actors for the algorithm. Setting up a web-GIS to enable online visualization of the estimations. Tuesday 23rd June was Matt’s last day working at the IBM Research Labs offices. My sincere thanks to everyone at IBM Research Labs for welcoming me to the Labs over the past 18 months. From 1st July, Matt is now working as Professor and Deputy Head in the School of Mathematical and Geospatial Sciences at RMIT University. In close consultation with the RISER Project Management Committee, the plan is that Matt continues to lead the RISER project jointly with Allison. We are currently working on a mechanism for achieving this with minimum disruption to RISER activities. 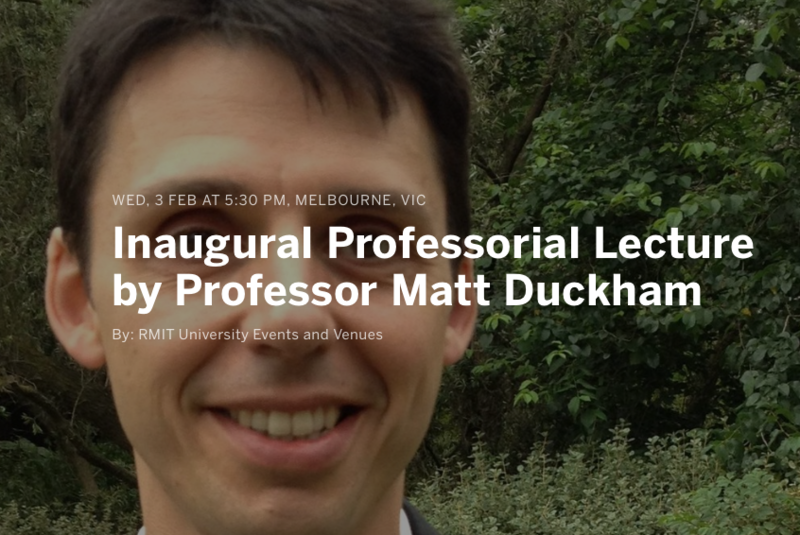 Matt’s new email is matt.duckham@rmit.edu.au and phone is 03 9925 0966. 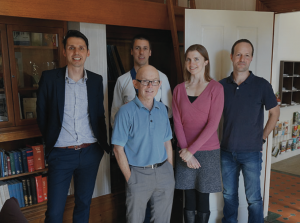 On 23rd June, Matt, Sarah, and Peter met with an IBM team including Guy and Laura to discuss the continuing development of a tool for fire impact prediction. The meeting helped to clarify a number of important issues, and moved that work forward. Tom undertook understorey structural surveys, took hemispherical photos (see right), and collected litter samples for the study area in Powelltown. Tom is currently compiling all these datasets. Once completed, Peter and Tom will investigate how the data collected in Powelltown correlates with other independent datasets and thereby what detailed information is contained in the fine-grained data from RISERnet. The RISERnet network itself in Powelltown has now been taken back to the Burnley campus by Tom. Peter and Tom will set up the network in Burnley to validate the performance of the sensors. They will also try to develop an efficient deployment and maintenance scenario so DELWP can set up and maintain the network in Powelltown in the future. On 25th June, Mark Garvey visited Anglesea Fire Station and some Anglesea Primary School students learning about fire behavior basics. Even at grade 5, the students have an impressive level of knowledge about bushfire behavior. At the end of the lesson the children had a competition to work through a full set of Fire Danger Meter calculations. All three student teams beat Mark on time, although everyone arrived at the correct answers. Our aim is again to support the education initiative in 2015. Planning is currently going into investigating ways to adapt the RISERnet and RISERview systems, used last year as part of the 2014 integrated education program, to better suit the learning objectives of the students. For example, one option could be to include the Spatial Vision Map Book base mapping already available in EM-COP and eMap (left). Our warmest congratulations from the whole RISER team to Kevin, who has been made a Member of the Order of Australia (AM) in the Queen’s Birthday Honour List, on 8th June. 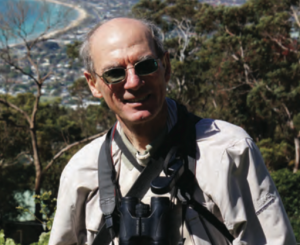 The honor cited his “significant service to science through land and bushfire management, and to the community through providing expert advice at fire emergencies.” Kevin will officially collect his honour at Government House in September. Sarah and Peter had a meeting with Laura Rusu and Ziyuan Wang from IBM Research Australia on 10th June to discuss collaboration on integrating Sarah’s fire intensity model and data collected by RISER (MoistuRISER and UpRISER) into IBM’s wildfire system. IBM has developed a system which provides diverse information pertaining to wildfire, like wildfire hazard and prediction of fire propagation. Adding Sarah’s fire intensity model will allow the IBM system to estimate the damage of wildfires on houses. RISER data streams are expected to improve the performance of Sarah’s model. Further discussion meetings have been arranged to plan the details of this collaboration. analysis of the data, with a particular focus on the comparison of the four different data sources (ground observation, ground sensors, satellite imagery, and UpRISER imagery). Peter had a meeting with Lisa Gibbs and Elyse Baker from Melbourne School of Population and Global Health on 18th June to outline a journal paper for the Anglesea initiative conducted in 2014. The paper will address the question of how we can increase children’s and agencies’ knowledge and awareness in disaster management through active learning. At this stage, the paper is targeted at disaster and emergency management journals. Elyse has started writing an outline of the paper and will lead the article development process. Plans for an extended 2015 iteration of the Anglesea CFA/Primary School education initiative are underway. Derek Chong to generate firefront locations from IMS emergency incidents automatically. The UpRISER team, David, Danielle, Susan, Alex from CFA, Darius from Environmental Sensing Systems, Glenn from CSIRO, Matt, Allison, Mark Garvey, and Peter from the RISER team, held a half-day workshop on the progress of the UpRISER project on 4th June. Mark gave a review of the progress of using UAV to collect grassland curing data. The talk covered detailed operational aspects of UAV imagery in the grassland curing monitoring application. 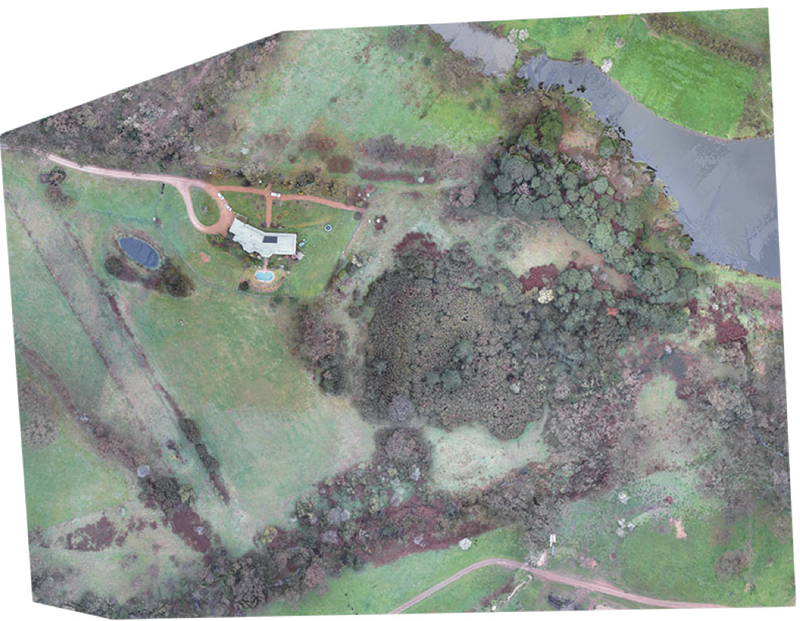 Mark also demonstrated the UAV imagery data collected in Moorooduc (below) and Scoresby during the past curing season. 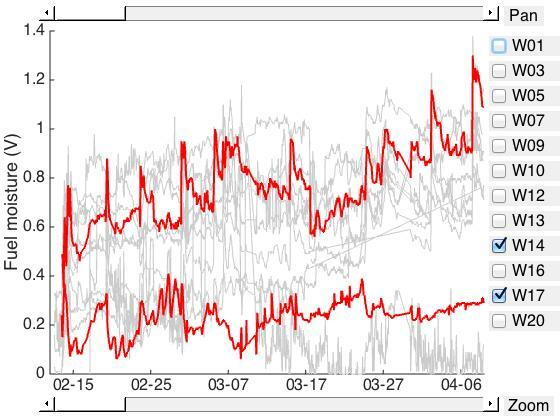 The data illustrated clear temporal patterns of NDVI change over the summer. More importantly, the data showed high-spatial-resolution variation in NDVI, which is not observable with terrestrial observers or sensors or satellite imagery. Darius introduced the set up of five multi-spectrum sensors in Scoresby and the data collected during the past summer. 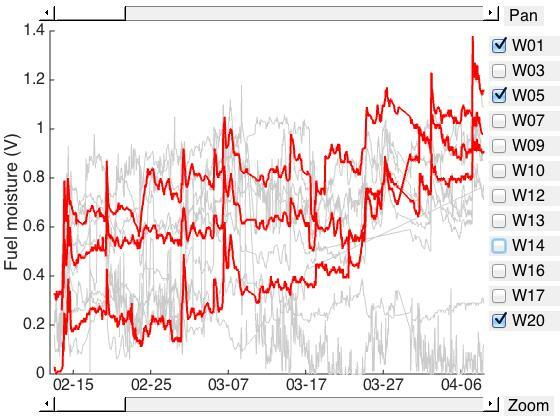 The temporal changes in the NDVI and green chromatic coordinate calculated from the sensor readings exhibit a temporal pattern that is consistent with the expected trend of grassland curing. Susan shared her experience of collecting ground observations of grassland curing near the sensors. Her experiences highlighted the large variability in curing that can occur across our test sites. Planning of future UpRISER activities formed the focus of the latter part of the meeting. A conference paper and a journal paper are planned based on the ground measurements and UAV measurements of grassland curing. Matt and Mark will lead the development of the journal paper. Zhong, X., Kealy, A., Sharon, G., and Duckham, M. (2015) Spatial Interpolation of Stream Geosensor Network Data in the RISER System. In J. Gensel and M. Tomko (eds) Web and Wireless Geographic Information Systems. Lecture Notes in Computer Science, Springer, vol 9080, pp 161-177. Following the meeting between Matt, Peter, and Tom in Burnley, the plans to collaborate further on the MoistuRISER project with RISERnet have developed into three key stages. 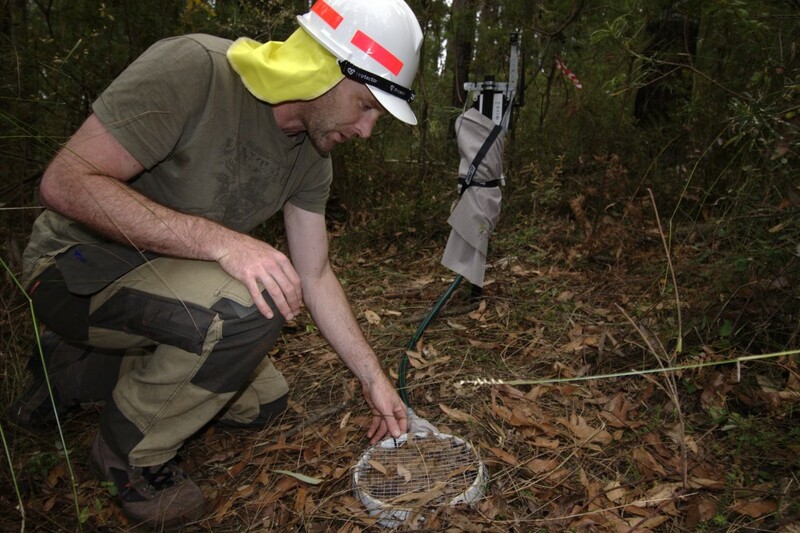 Stage 1 will studying the impact of vegetation on within-forest microclimate. The canopy cover of forest is recognised as a crucial factor of within-forest microclimate. 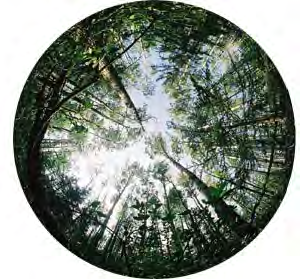 But the impact of undergrowth on within-forest microclimate is not clearly understood. The RISERnet networks in Olinda and Powelltown have been monitoring fine-grained within-forest microclimate for several months. In order to enable the exploration of the impact of undergrowth, Tom will take field measurements of vegetation conditions in Olinda and Powelltown. Stage 2 will validate the accuracy of sensing fuel moisture content using the fuel moisture probe and fuel temperature probe. The RISERnet network in Powelltown will be moved to the Burnley campus (see below) to test the accuracy and reliability of the fuel moisture probe and fuel temperature probe. We will also investigate the source of errors and try to minimise the errors as much as possible. In the meanwhile, we will also improve the robustness of the network. Finally, stage 3 will involve collaborating with DELWP on sensing fuel moisture content in Powelltown and on sensing the microenvironment near planned controlled burn. After the test in Burnley, the network will be returned to Powelltown in September to monitor the microclimate and fuel conditions near the controlled burn planned by DELWP. Collaborating with DELWP, we will continue the MoistuRISER project. We will also investigate the effect of fuel moisture content on the controlled burn, and the impact of fire on the nearby microclimate. On May 7th, Matt and Allison met with Holly Foster from EMV and a delegation from the US Department of Homeland Security and MIT Lincoln Laboratory. The delegation is currently visiting EMV in connection with the ongoing NICS/EM-COP collaboration. Allison and Matt were able to brief the visitors on the various RISER activities, as well as discuss potential areas for collaboration. 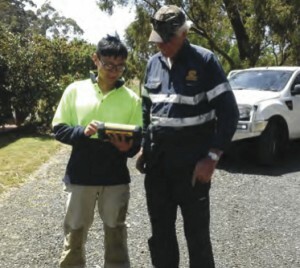 The RISERnet network in Powelltown has collected hourly measurements of fuel temperature and fuel moisture for over two months. Before calculating fuel moisture content from these measurements, the reliability of the measurements is being carefully investigated. Peter is studying the temporal characteristics of the measurements. The first step is to check if the data illustrate reasonable variation of fuel moisture, such as increase after rains, diurnal change curve, and the correlation with the data collected by nearby sensors. For example, the first figure above shows the fuel moisture measured by three sensor motes. The trends, diurnal variations, and responses to rains of the three time-series are consistent, even though there exists a large bias between them. However, the second figure above illustrates two inconsistent time-series. In order to better understand the reasons for these temporal patterns, Tom is installing some iButtons (right, programmable temperature and humidity sensors) in the litter packs as an independent source of sensed information. Comparing the standalone observations of fuel moisture will help identify the source of the inconsistencies. Tom will also explore the topography and vegetation in the study area to help with data interpretation. 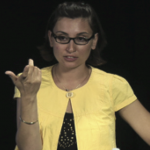 Azadeh presented the results of her internship work at IBM Research Labs on 10th April, 2015. The title of her presentation was “An overview of spatiotemporal data mining and visualisation techniques for characterising RISERnet data.” In the presentation she explained the approaches that she has used for characterising the spatiotemporal data captured by RISERnet, including reviewing exploratory data analysis techniques and visualisation methods for uncover the temporal and spatial patterns in sensor data. Publication in SIGSPATIAL Special edition on Geosensor Networks. Matt, Peter, and Kevin Toohey submitted a paper entitled “Challenges to using decentralized spatial algorithms in the field: The RISERnet geosensor network case study” to a forthcoming SIGSPATIAL Special edition on Geosensor Networks. The paper focuses on the advantages and disadvantages of decentralised algorithms can be achieved in a real within-forest wireless geosensor networks. 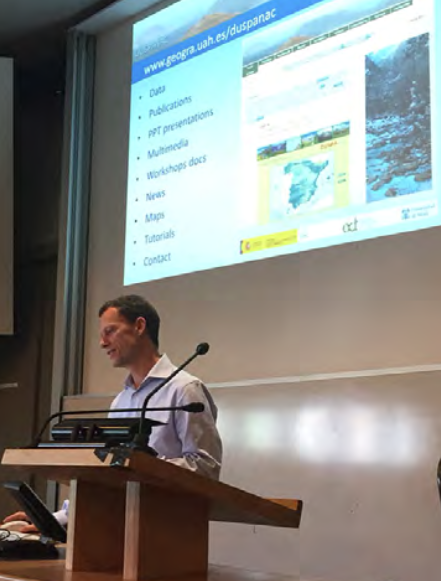 “Engaging communities in disaster risk reduction through volunteered geographic information: A case study of bushfires in Tasmania, Australia” presented by Billy Haworth from the University of Sydney, Australia. “Integrating social media in the development of a special event population dynamics model” presented by Kelly Sims, Oak Ridge National Laboratory, USA. “RISER: Resilient information systems for emergency response” presented by Matt from the RISER team (below). The session was well-attended and generated some lively discussion. It also marked the official launch of the call for papers for the forthcoming special issue in the journal Computers, Environment, and Urban Systems on Advances in Geospatial Emergency Management, co-edited by Matt and Allison. More details may be found here. A more populous and interconnected world with a warming climate is anticipated to lead to increasing incidence and severity of natural and anthropogenic disasters. Making smart use of available information about space and time is integral to improving success across the spectrum of emergency management activities, whether dealing with issues of preparedness, response, recovery, mitigation, rescue, or reconstruction. > Computational approaches in emergency management such as spatial optimization modeling, agent-based modeling, and network analysis. We also encourage original and comprehensive literature reviews on topics relevant to the issue theme. All submissions must be original, never published in similar or abridged form in English, or any other language. The deadline for submissions is August 25th 2015. Submissions must conform to CEUS submission guidelines. Submissions will be rigorously reviewed by at least three international expert reviewers. The Elsevier journal management system is open to accept submissions. Instructions for authors are available at http://ees.elsevier.com/ceus/default.asp. When submitting, please use “SI: AGEM” when selecting the “Article Type” for your submission. CEUS has an impact factor of 1.520. For more information feel free to contact one of the special issue editors: Matt Duckham (mduckham@unimelb.edu.au), Mark W. Horner (mhorner@fsu.edu), Allison Kealy (akealy@unimelb.edu.au), Eren Erman Ozguven (eozguven@fsu.edu). A visitor, Zhou Jianguo, from Wuhan University in China is implementing and evaluating decentralised algorithms with our wireless sensor network, RISERnet. Decentralized algorthms allow in-network processing of data and are the next step in embedding further intelligence in RISERnet. In stage one, the decentralised algorithms will be validated with indoor experiments where the ground truth is known accurately. 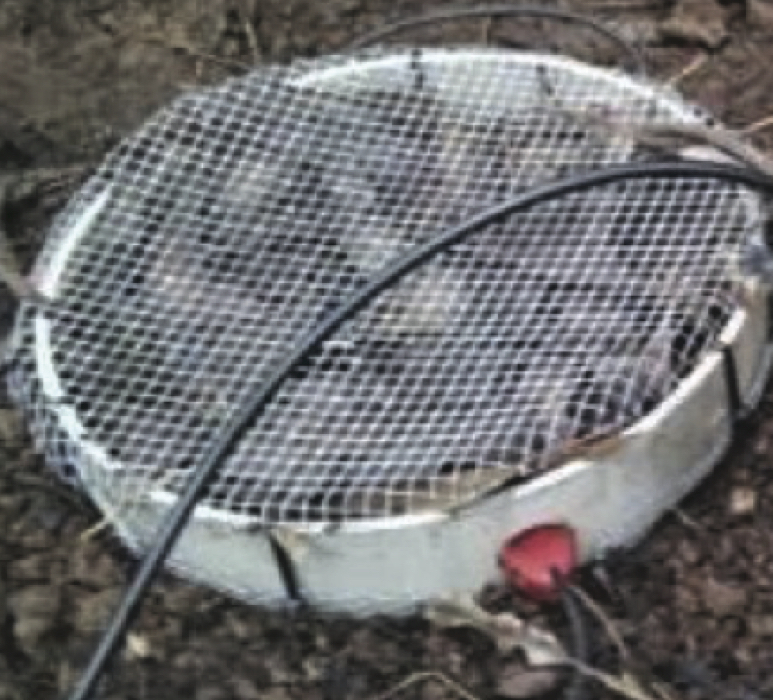 Depending on the experimental results, we will consider and design future outdoor and field validation experiments. Tom Duff started to take over the maintenance of the RISERnet in Powelltown. He made a full battery change for the network on 17th March. He also brought back five faulty motes and fixed the incorrect sensor connections, three of which were fixed by Peter and redeployed on 8th April by Tom. The other two faulty motes must be replaced because of hardware issues. Peter will build two new motes to replace them. 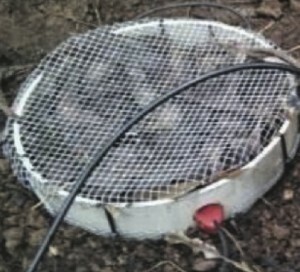 The RISER stations are vulnerable to animals, particularly small mammals such as bush rats. 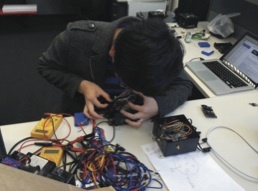 Tom set up robust protections over the sensor motes while changing batteries on 17th March (see below). To prevent cable damage, Tom wrapped all the stations in a single layer of tough rubberized fabric. To allow battery changes, the batteries are mounted outside the rubberized layer, and a second layer is strapped around the battery in a manner that allows easy removal. Cables that run along the ground are housed inside garden hose and are protected at the ends with tape and rubberized fabric. The Powelltown sites are situated next to an area that is planned for a prescribed burn next autumn (2016). The forest in both the RISER site and the burn area consists of “dry forest” (forest with high levels of grass and tough-leaved understorey species) that transitions into “wet forest” (forest that is ferny with wet/soft leaved understorey species). The wet forest requires much drier conditions to be burnt. This week we have been working at a similar burn about 20km north of the Powelltown RISER site, looking at flammability and species transitions (see below). Thursday 26th March saw the joint EMV/RISER workshop at the Victorian State Control Centre. 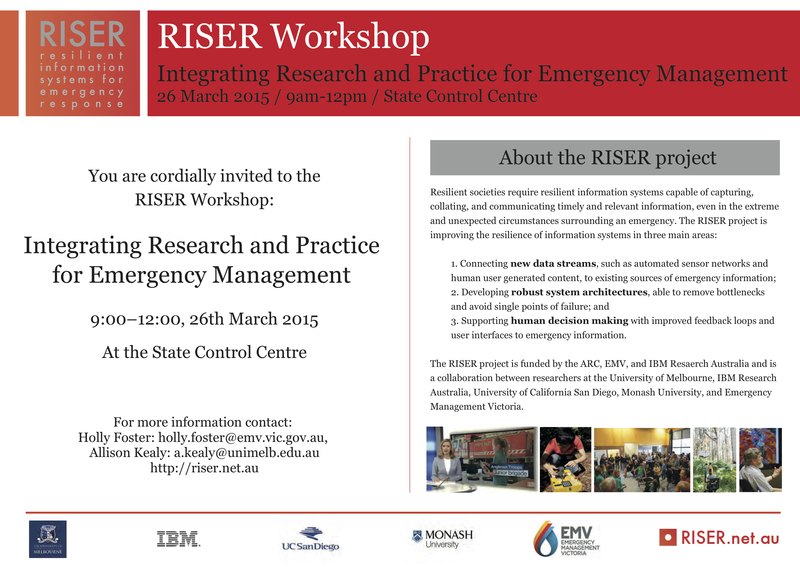 Almost 40 participants from across the emergency management sector came together with RISER researchers to discuss applied research from the RISER project. This activity was part of the longer-term objective of better aligning RISER research with practical outcomes for the emergency management sector. Matt Duckham gavean overview of the major RISER subprojects, including RISERnet, RISERview, MoistuRISER, and SensoRISER. Dannielle Martin and Mark Garvey gave a joint presentation on the UpRISER project, first exploring the CFA Grassland Curing project and then the UpRISER collaboration on that project. Jamie MacKenzie described the Anglesea CFA and Primary School education project. 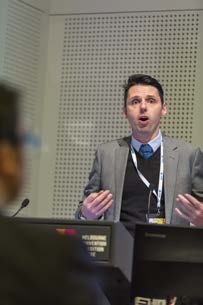 Simon Fuller and James Romeril then described the work on developing the RISERnet network used as part of that project. Ilkay Altintas showcased the ongoing work at UCSD and the WIFIRE project, with direct parallels and collaboration with the RISER project. Following the presentations, Allison Kealy chaired an open forum discussion amongst the participants, with a panel made up of Craig Lapsley, Ilkay Altintas, Michael Rumsewicz, and Matt Duckham. The panel session covered a range of key issues in grounding RISER research in practical uses, including: the role of other sensors, such as cameras, iPhones, sensors on vehicles, or used in other projects like Sense-T; the importance of being problem -oriented, and identifying the information required by decision makers; and making both sensed data and communication of data to decision makers fit for purpose. The coming months will see the RISER team following up these initial discussions to develop further concrete collaborations with the community. We would like to thank everyone who participated in the meeting, with particular thanks to Holly Foster, Allison Kealy, and Peter Zhong for leading the organization of the workshop. Timed to coincide with the AAG Special Session, Matt and Allison are co-editors of a special issue of the international journal Computers, Environment, and Urban Systems (CEUS) on “Advances in Geospatial Emergency Management”. 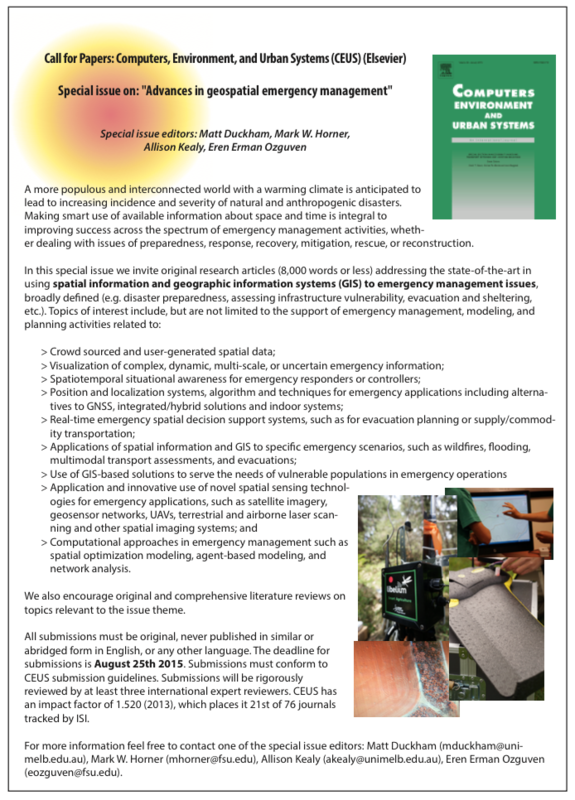 The special issue will address the state-of-the-art in using spatial information and geographic information systems (GIS) for emergency management issues, including disaster preparedness, assessing infrastructure vulnerability, evacuation and sheltering. The call for papers (see below) is available on the RISER web site. RISER researchers are collaborating with academics from Florida State University (FSU) in holding a special session on “GIScience and Emergency Management” at the AAG Annual Meeting 2015. The AAG (Association of American Geographers) Annual Meeting is one of the leading international geography conferences, this year held in April in Chicago, US. Timed to conincide with the RISER/EMV Workshop, two leading researchers from our research partners at UCSD will be visiting RISER next week. Ilkay Altintas (right) is Director for the Centre of Excellence in Workflows for Data Science at the San Diego Supercomputer Center (SDSC). Ilkay also leads the WIFIRE project in the US, the sister project to RISER. 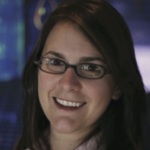 Jessica Block (left) is a Research Analyst with Calit2 at UCSD, with expertise in sensor networks, remote sensing, and visualization for disaster response. Jessica was part of the team that originally develoepd the RISER project proposal, and has remained a key member of the RISER team, helping to coordinate research efforts between Melbourne and San Diego. Both Jessica and Ilkay will be available for discussions and collaborations in the days before and after the RISER/EMV Workshop next week. On 26 and 27 February, Matt participated as an observer in the NFDRS (National Fire Danger Rating System) National Requirements Workshop. The workshop provided further helpful context on the applications of bushfire-related research, a key focus of the second-half of the RISER project. Our full conference paper on the architecture for streaming data from RISERnet to RISERview was accepted to the international conference Web and Wireless Geographical Information Systems (W2GIS). The paper, entitled “Spatial Interpolation of Streaming Geosensor Network Data in the RISER system” explores the research innovations made in developing new interpolation stream-processing operators in the context of the RISER architecture. The paper is coauthored by Peter, Allison, Matt, and Guy Sharon. Following on from a meeting on February 11 between RISER and EMV, a joint collaboration workshop is now planned for the end of March. The workshop, entitled “Integrating Research and Practice for Emer- gency Management” will be held 9-12, March 26th 2015 at the EMV State Control Centre (see below). The workshop will focus on aligning RISER research outcomes with the needs of specific active projects. For more information, please contact Peter Zhong (peter.zhong49@gmail.com) at RISER or Holly Foster (holly.foster@emv.vic.gov.au) at EMV. 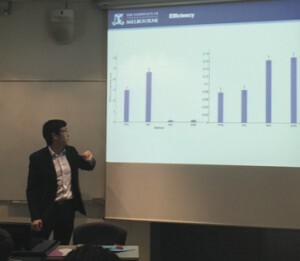 Mark Garvey and Matt Duckham met with Craig Buckingham (City of Melbourne), Cain Trist, Michael Jenkins, and John Simmons (EMV) on 19th February at the University of Melbourne, to discuss further the potential for EMV access to the CoM SafeCity CCTV program (below). The discussions revealed a much better picture of both the potential benefits and challenges in achieving such a link up. The next steps in continuing the discussion will include a visit to CoM CCTV by RISER and EMV in the coming weeks. A full journal paper on stream Kriging interpolation was submitted to the international journal Information Sciences. 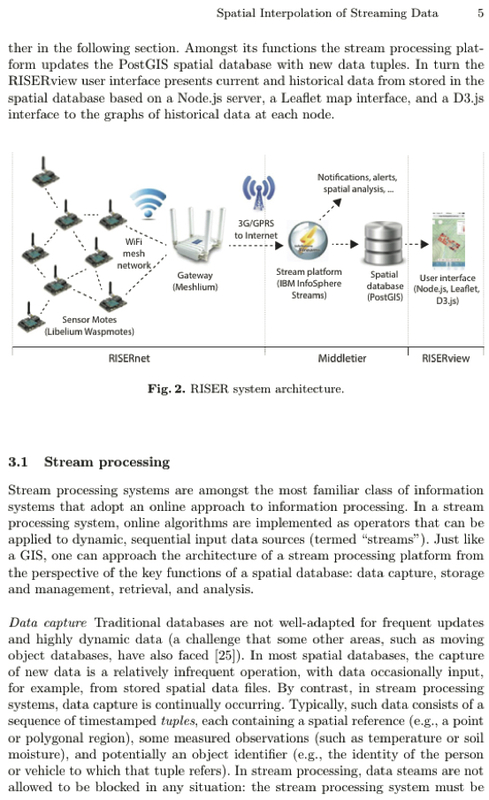 Another full conference paper on the architecture for streaming data from RISERnet to RISERview was submitted to Web and Wireless Geographical Information Systems (W2GIS). Two further abstracts on MoistuRISER and UpRISER have been submitted to the Australian & New Zealand Disaster and Emergency Management Conference (ANZDMC) and to the AFAC Conference, respectively. On February 11, Allison and Matt met with a team from EMV led by Craig Lapsley to discuss collaboration over the second half of the RISER project. The RISER team are currently working with Holly Foster at EMV to plan a joint collaboration workshop for the end of March. The workshop will focus on aligning RISER research outcomes with the needs of specific active projects. On February 19, Mark and Matt will meet with a range of key stakeholders from EMV, City of Melbourne, and DoJ in a continuation of the SensorRISER meetings looking at making CCTV information available for emergency intelligence uses. 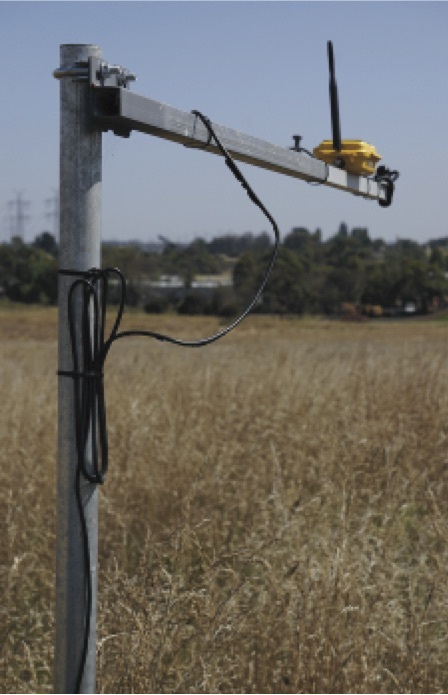 Collaborating with Tom Duff and Jane Cawson, a new RISERnet sensor network was deployed in Powelltown, Victoria in January. The network consists of one central gateway, 20 sensor motes, and five on-board sensors on each mote. Two of the five sensors (soil temperature and soil moisture sensors) are used for the first time, having been specially developed for RISERnet. The sensors are installed in litter packs (see right), instead of soil, as part of a new approach to fuel moisture content (FMC) monitoring. The new sensors will allow us to investigate changes to fuel conditions at very high spatial and temporal resolu- tions. The data are already streaming though our server, although some technical issues are still being addressed. The real-time data can be viewed via RISERview (powelltown.thinkspatial.com.au, see below). Grey nodes are not yet operating, but the other nodes have live a recent historical data that can be viewed. The fourth RISER PMC (project management committee) meeting was held at EMV on 27 January. Our sincere thanks to John Schauble (EMV), Juerg van Kaenel (IBM), Kim Lowell (CRCSI), Zaffar Sadiq (GHD), and Jessica Block (UCSD) for their time and continuing advice on strategic priorities for RISER. Having received CASA approval, the UpRISER project has begun regular monitoring of the second site at Ferntree Gully. 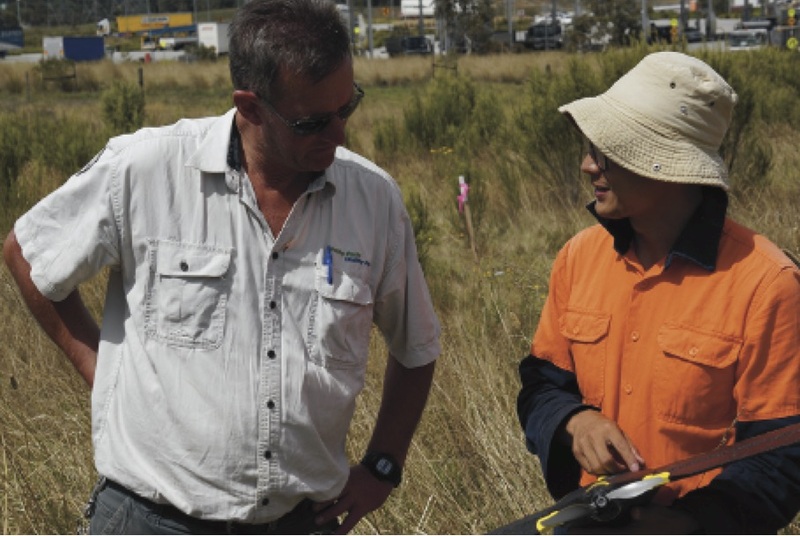 The first flight of our UAV at a Parks Victoria paddock in Ferntree Gully was on Friday 23rd January. There to see the first flight were David Nichols and Susan Kidnie (CFA), Garry Lalor (Parks Victoria, below), RISER researchers Mark Garvey, Matt Duckham, and Rain Liu (pilot, below). Susan Kidnie) and static, ground-based imaging sensors developed by CSIRO (right, led by Darius Culvenor and Glenn Newnham). The UpRISER imagery, which includes optical, NIR, and red edge imagery, will be used to complement and crossvalidate data from the existing CFA monitoring and CSIRO sensors. The aim of the project is to generate more accurate and precise information about the fine-grained nature of grassland curing over the curing season. 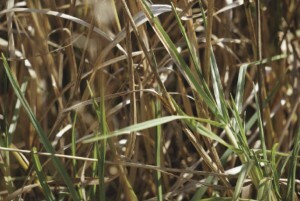 Satellite imagery alone may not accurately capture the level of curing, for example in cases where new growth may be obscured by cured grasses (see below). However, ground observations do not scale easily to large areas or to new locations outside of Victoria, where an observer network may not yet be established. Hence, the UpRISER imagery may provide vital intermediate-level information about curing, with more detail than satellite imagery, but scalable to larger coverages than possible with human observers or ground-based sensors. On 15th January, Matt participated remotely in the annual WiFIRE advisory committee meeting in his capacity as WiFIRE advisory committee member. The sister project to RISER, WiFIRE is based in San Diego making excellent progress in a number of areas complementary to RISER. The meeting helped further define a number of areas for continuing collaboration with RISER, including in crowd-sourced data and in validation of fire models. The fourth RISER PMC (project management committee) meeting will be held at EMV on 27 January. The PMC has responsibility for providing guidance and advice on strategic direction for the RISER project. Please let Matt know if you have any items you would like raised at the PMC meeting. The UpRISER subproject, monitoring grassland curing using UAVs, is continuing regularly to gather data in our test site in Moorooduc. CASA approval has also been gained for monitoring at a second site at Ferntree Gully. The work is being conducted in close collaboration with CFA and CSIRO. In particular, CFA were recently awarded a National Emergency Management Project (NEMP) Grant to expand their successful grassland curing monitoring program into South Australia, New South Wales, and Tasmania. UAV monitoring may help in that expansion, especially as other states do not have an established human observer program as in Victoria. On 14 January, Mark and Matt from RISER met with EMV to discuss the potential usefulness of City of Melbourne closed circuit video (CCTV) for emergency services. As part of of a series of meetings in recent months under the SensoRISER subproject, discussions with City of Melbourne have indicated that making the video streams available to EMV is both legally possible and has support from City of Melbourne. Bendigo and Geelong have also indicated that they would be open to discussions. CCTV networks have been established primarily for crime prevention and public safety purposes. However there is the potential to also use them in emergency management scenarios, such as urban flash-flooding or building fires (see 1972 photo below). A joint workshop with RISER, EMV, and CoM in early February to progress this work. Thursday 11 December marked a milestone for the RISER project’s community engagement, as students from Anglesea Primary School showcased what they had learned from their year-long project on community resilience. Researchers from the RISER project along with colleagues from Melbourne University School of Population Health attended a showcase event at the Anglesea CFA focusing on community resilience. The RISER team were responsible for helping the students deploy and maintain their own six-node RISERnet. The students chose where to plase the nodes, deployed them, maintained them, monitored them using a customized version of RISERview (above), and then even integrated the measurements into Phoenix model executions, with the assistance of Tim Gazzard from DEPI. In addition to demonstrating their work with RISERnet, the day also featured a range of other activities that the students had prepared. The project was integrated with wider work led by Lisa Gibbs at the School of Population Health, University of Melbourne, on the development of new curricula that recognize not only the vulnerability, but also the abilities of children to respond and support resilience in the event of an emergency. The day, and the role of the RISERnet sensors, was featured in a ABC News special report on Sunday 14th December. While this year’s project work has come to an end, it is intended that this program of work will continue with a new class of students in 2016. For now we would like to thank all the RISER team led by Allison who contributed to the success, including Simon, James, Peter, and Andrew; as well as the excellent leadership and collaboration from Lisa Gibbs and her team at the School of Population Health; from Andy Rankin, Jamie Mackenzie, and Emma Gaunt and their team at Anglesea CFA; and of course from all the Year 5 students and teachers at Anglesea Primary School. 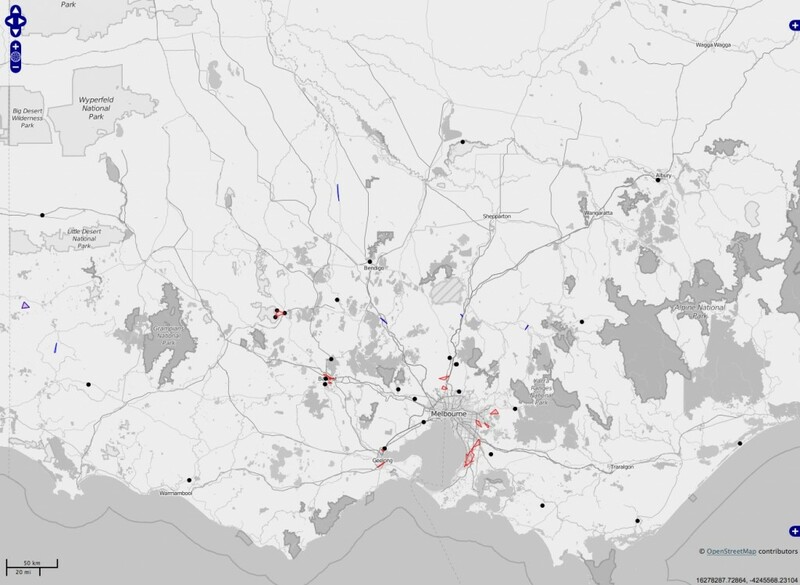 In collaboration with Derek Cheong and Kevin Tolhurts, Peter and Matt have been investigating the use of public VicEmergency incident reports (right) to estimate automatically the approximate location of current fires. The process involves filtering incident reports (to identify relevant reports); clustering (to identify related reports about the same incident); and integration (combining related reports into an spatiotemporal incident that may develop and evolve over time and space). Although the work is in its early stages, initial results are promising and we are currently looking at several issues, including validation, efficient algorithms, and practical application. A collaboration between the RISER project, CFA, and ThinkSpatial has seen the first in a series of summer-long UAV flights to assist in research into grassland curing. Grassland curing is the annual process of drying in grasslands and is a critical component in the rate of spread and intensity of grassland fires. The UAV imaging flights are delivering imagery to researchers at CFA and CSIRO that will establish whether the platform can supplement established methods of assessing curing and perhaps initiate research into fuel weight in grasslands. The first flights for the current fire season were undertaken at Moorooduc on Sunday, 23rd November. RISER workers Mark Garvey and Yu Liu were assisted at Moorooduc by long time CFA local, Nevyn Jones AFSM. Mark Garvey has been leading the planning to monitor grassland curing using human observers, UAV imagery, as well as compatible satellite imagery. 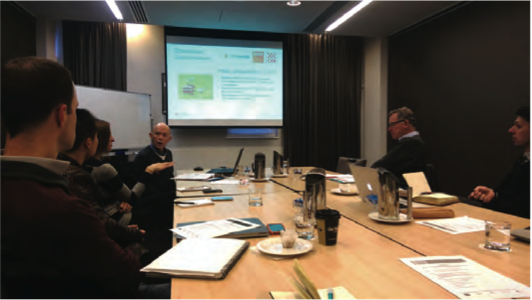 Following on from our successful workshop reported in the last RISER update, collaborators in the CFA and CSIRO have helped us design a monitoring program that begins next week and will continue throughout the grassland curing season. With the data captured by UpRISER we aim to know much more about the potential for ongoing UAV monitoring to provide flexible and fine-grained curing data to complement existing data sources. We are lucky to have two international visitors working in collaboration with the RISER project, both of whom arrived last week. Francisco Escobar (right) is Professor in the Department of Geology, Geography, and Environmental Sciences at the University of Alcalá, Spain. Professor Escobar’s research is at the intersection of GIS, visualization, and spatial analysis, with particular experience in the application areas of land use and public health. Professor Escobar is a MERIT Visiting Scholar and on 12th November gave a seminar on his recent work, on using cellular automata and participatory GIS for understanding and planning for land use change. Antony Galton (right) is Reader in Knowledge Representation in the College of Engineering, Mathematics and Physical Science, University of Exeter. He has a long record of world-leading research in spatiotemporal knowledge representation, and in particular in the development of an account of spatial change. He has extensive experience in the application area of emergency management, and holds an EPSRC (UK research council) grant for collaboration with the RISER project. In the coming weeks Antony, Matt, and Peter will be working together on new algorithms and techniques for identifying causal relationships in sensor data sets. Antony and Francisco will be in Melbourne until the end of 2014. Danielle Martin and David Nichols from CFA, Glenn Newnham from CSIRO, Darius Culvenor from Environmental Sensing Systems, and Matt Duckham, Allison Kealy, and Peter Zhong from University of Melbourne participated in an UpRISER workshop led by Mark Garvey at Graduate House, University of Melbourne, on 30 October 2014. The workshop explored further opportunities for collaborative research on grassland curing. The aim of the workshop was to ensure the outcomes of the UpRISER project are better aligned with current operational system of CFA and research at CSIRO. The discussions focused primarily on the potential for UAV imagery to contribute to validation or estimation of grassland curing. The current grassland curing system, introduced by David and Danielle, relies on satellite imagery combined with ground observations from approximately 200 volunteers around Victoria each week. Automated sensing technologies, such as UAVs, hold the potential to add a new “middle tier” of information about grassland curing, in the gap between the large spatial extents of satellite remote sensing and the high detail of human observations. Multispectral ground-based senseors are an another potential middle tier, also explored in discussions led by Darius and Glenn. Multispectral sensors can measure light intensity at multiple wavelengths to provide an independent calculatation of NDVI. The potential for such sensors is already being investigated in a project by Darius and Glenn. An important feature of RISERnet is the capability to integrate third party sensors. Hence, our discussions also naturally focussed on a possible collaborative deployment using RISERnet as the platform for the multispectral sensors. As a immediate practical outcome of the workshop, we plan to extend our recent UpRISER UAV test flight to a regular flights at one observer site in Kangaroo Ground on a weekly or fortnightly basis throughout the coming curing season. In collaboration with Anglesea CFA, Allison has been leading a project to establish a small RISER network at part of a broader and longer-term fire education initiative. The project aims to establish two small 5-node networks in Anglesea, with Anglesea CFA managing one network and children from Anglesea Primary School managing the second network. 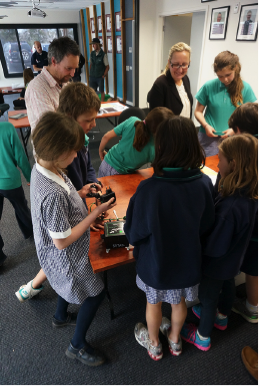 On T hursday 9th October, Simon, Peter, and Matt joined Jamie MacKenzie and Emma Taunt from Anglesea CFA (right) to introduce a group of Y5 Anglesea Primary School children to their sensor network. 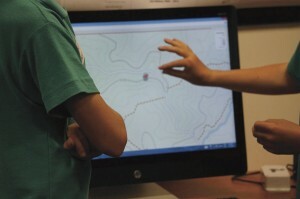 The children planned where to put their sensors using maps, as well as browsing the latest data on the RISERview web site. The following week, on Wednesday 15th October, the children left the classroom to deploy the network in their chosen location. Over the coming weeks, the children will maintain the network, replacing batteries as necessary and fixing any problems with the sensors that may occur. 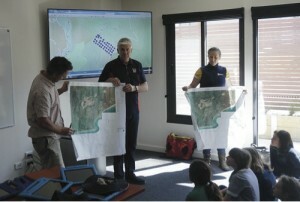 The activity is just one part of a larger and longer-term fire education project involving the whole Anglesea community. 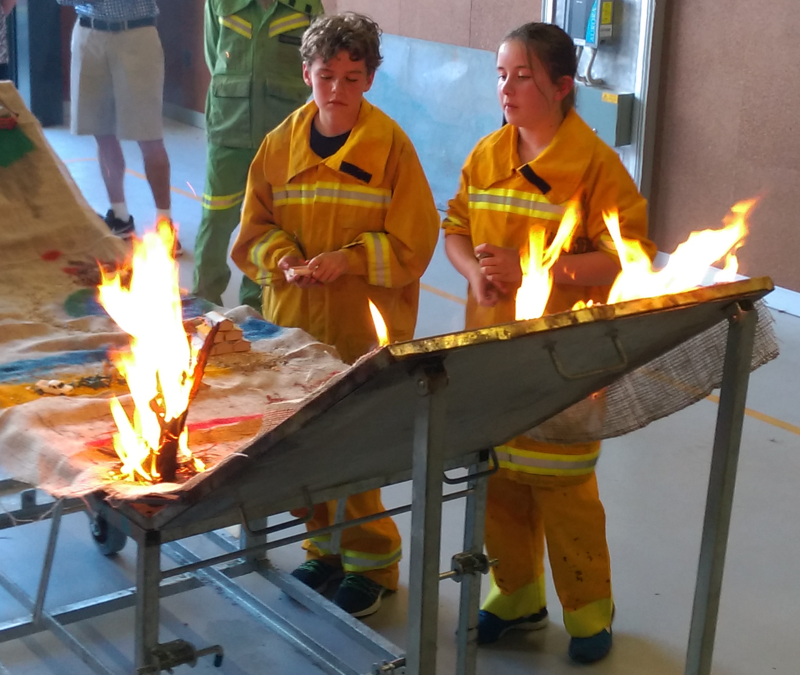 The project is using a range of activities to help both children and adults better understand how to live safely in a bushfire-prone environment, a key feature of resilient societies. Our belief at RISER is that resilient information systems, such as RISERnet, have a part to play in supporting such resilient communities. Better integrating these technologies into everyday life makes them more likely to be used and useful, as well as teaching us a lot about the priorities for future research. Our thanks to all the children, teachers, and CFA volunteers who helped make these two days of deployment the most enjoyable ever! Allison, Simon, and Peter visited CFA in Anglesea on 29th September, 2014. They had a meeting with Jamie from CFA Anglesea about the deployment of RISERnet in Anglesea. This deployment is for teaching the grade 5-6 students from the local community school about bushfire monitoring using wireless sensor networks. The students will first be guided to select deployment locations. 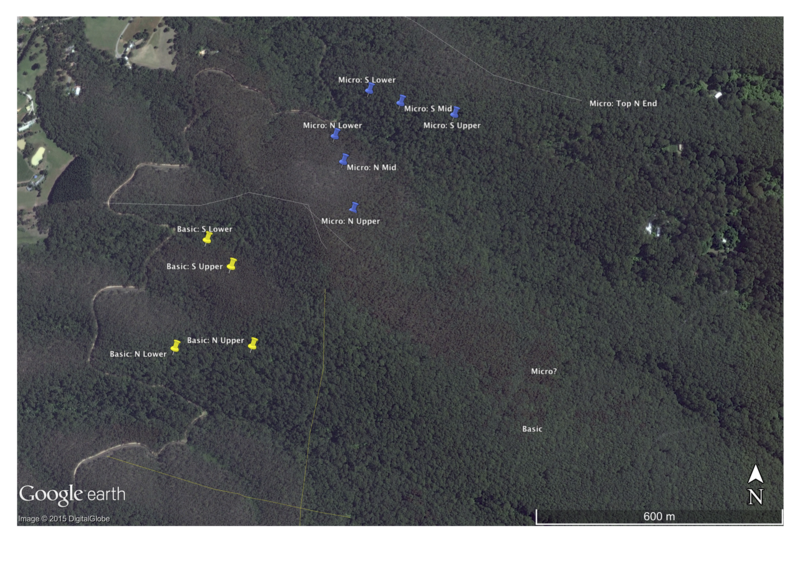 They then will navigate to these locations and deploy our sensor nodes. Next, we will motivate them to conduct some simple data analytics and try to inspire their skills of identifying useful information from real data. 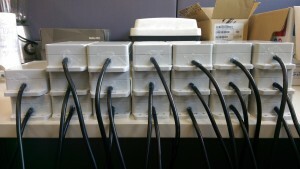 They will also practice maintaining the network, e.g., swapping batteries. After the end of this term, the top groups will give a presentation in the University of Melbourne to share their experiences. Ordinary Kriging is a well-recognized spatial interpolation method. It is adopted extensively because it is the best linear unbiased estimator. However, it is too computationally intensive to be used for large spatial dataset or spatial streams. Peter and Matt developed an approach for incremental Kriging interpolation over spatiotemporal streams. This approach maintains a sketch of historical tuples to accelerate the calculation of current Kriging system. It can be applied over a wide variants of covariance models and sliding temporal windows. In addition, it can be applied over not only the conventional Kriging algorithm, but also the approximated Kriging algorithms already available. A draft paper is almost complete, and will be circulated amongst the wider RISER group for comments shortly. 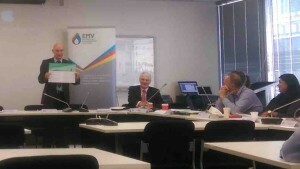 The third RISER Project Management Committee meeting was held at the office of EMV (Emergency Management Victoria) on 16 September 2014. At the meeting were Matt Duckham, Juerg von Kaenel Allison Kealy, John Schauble, with participation via remote links to Jessica Block in the USA and Zaffar Sadiq in India. The PMC has oversight over the project strategic direction and progress. 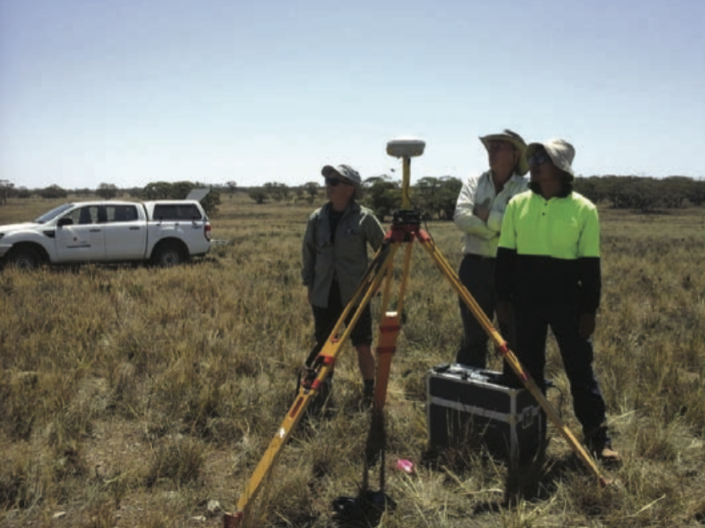 Previous PMC meetings have been instrumental in identifying important opportunities, for example in initiating the search for the Powelltown site for the latest RISERnet deployment and the exploration of grassland curing monitoring (now the UpRISER subproject). The outcomes and suggestion of this latest PMC meeting will be integrated into our work plans over the next four months. Following discussions in PMC meetings, and in discussion with Kevin we have now identified a second RISERnet deployment site in Powelltown. 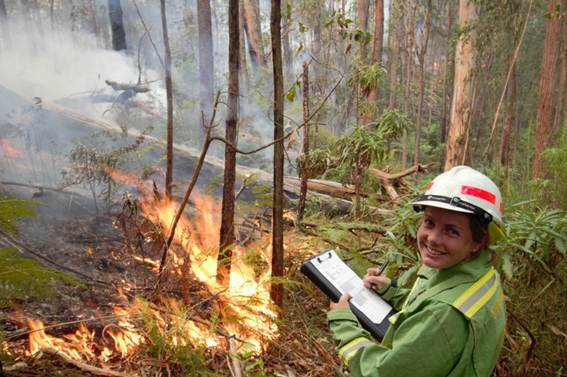 The precise Powelltown deployment location has not yet been finalized, but will be co-located with a new Department of Forest and Ecosystem Science project (“Managing Bushfire in Tall Mist Forests: Fuel Hazard and Moisture Relationships”). The DFES project aims to refine the inputs to fire behavior models, assisting with adaptive fire management planning. In parallel with RISERnet, the DFES project will be capturing data at the Powelltown site and about fuel hazard and moisture. By deploying at the same site, we will be able to take advantage of cross-validation with the other monitoring occurring at the site, as well as assistance with node deployment and maintenance. 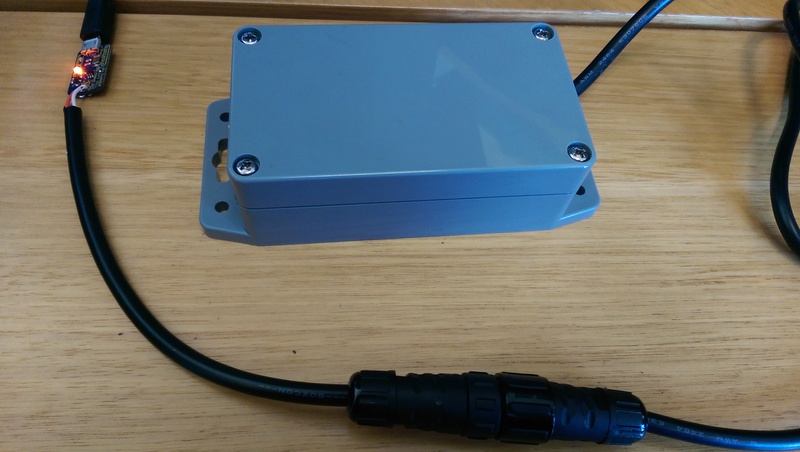 The Powelltown nodes will also include the VH400 soil moisture sensor, being tested in the MoistuRISER subproject as another independent mechanism for field measurement of fuel moisture content. Peter and James have built a large number of the new water-proof battery packs. Effective battery management has been one of the most challenging technical problems facing the practical deployment of RISERnet, a problem shared by all major wireless sensor network deployments. Over the winter, we have developed a modification that allows the mounting of new rechargeable battery packs outside of the motes (below). In addition, the external battery packs are capable of being charged separately from the mote. This change significantly reduces the time and labor required to swap batteries. 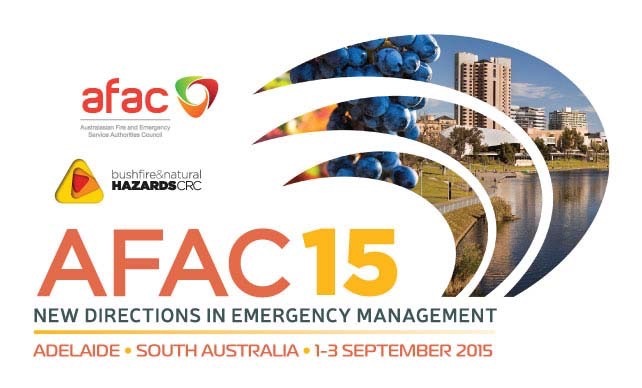 John Schauble represented the RISER project at the AFAC 14 conference in Wellington, New Zealand, last week. John presented our joint poster on the MoistuRISER subproject “High-detail fuel moisture content monitoring using the RISERnet sensor network” (Matt Duckham, Allison Kealy, Azadeh Mousavi, John Schauble, Kevin Tolhurst, Xu Zhong).